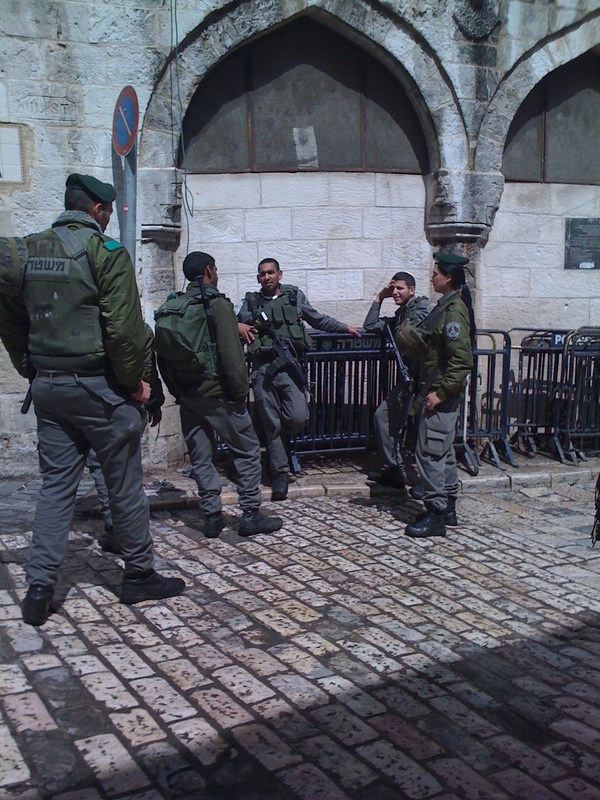 Guards at the Lion’s Gate – Old City Jerusalem. 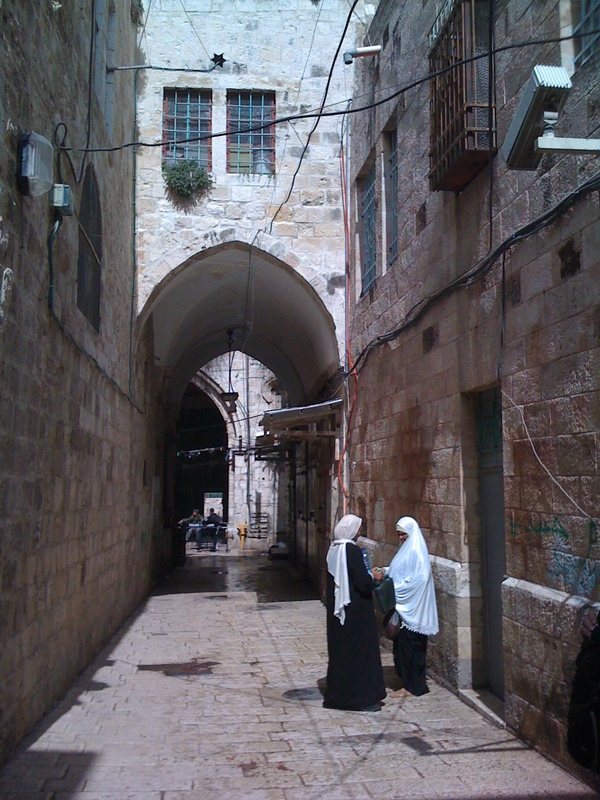 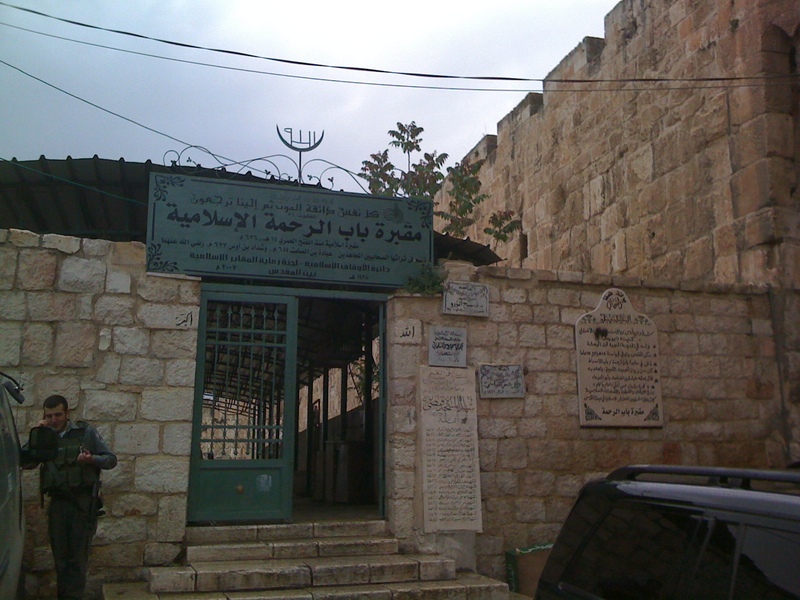 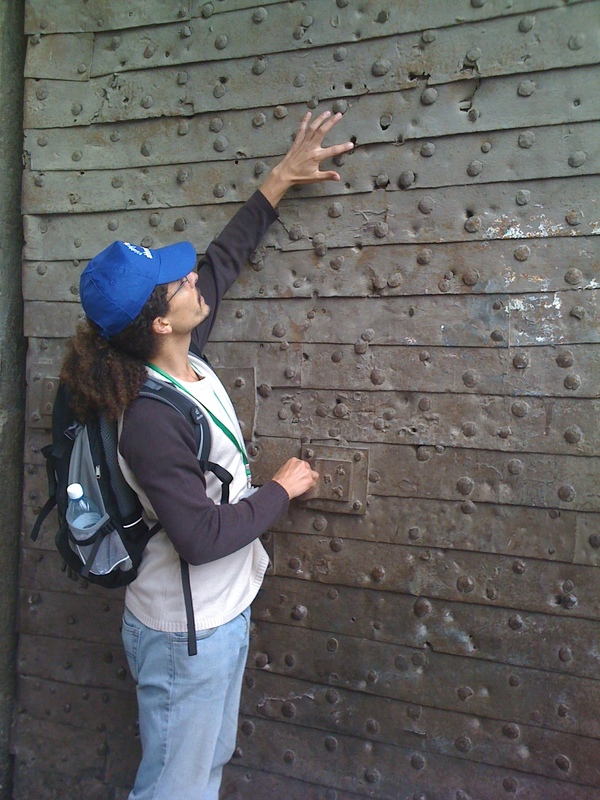 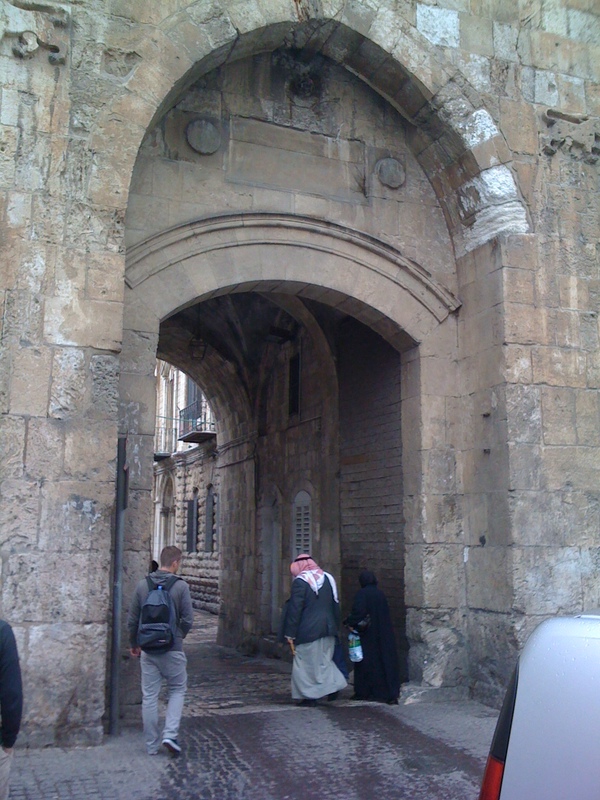 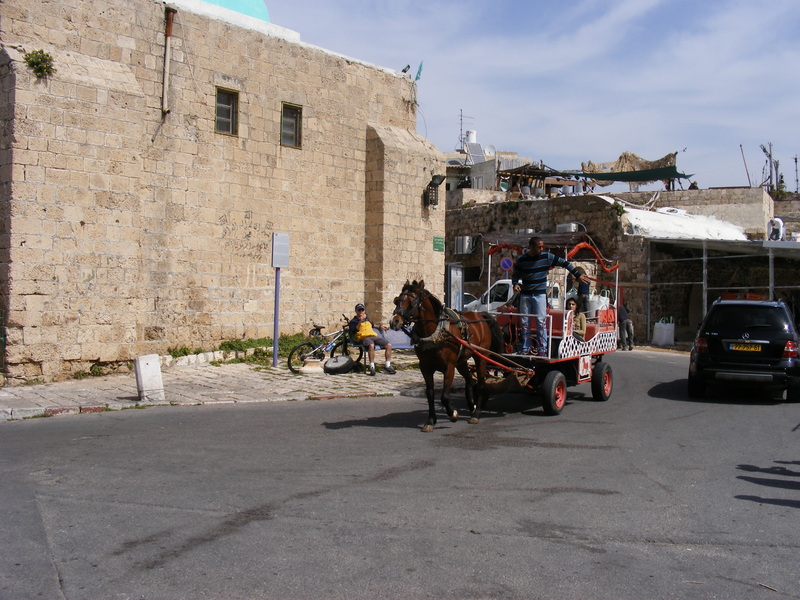 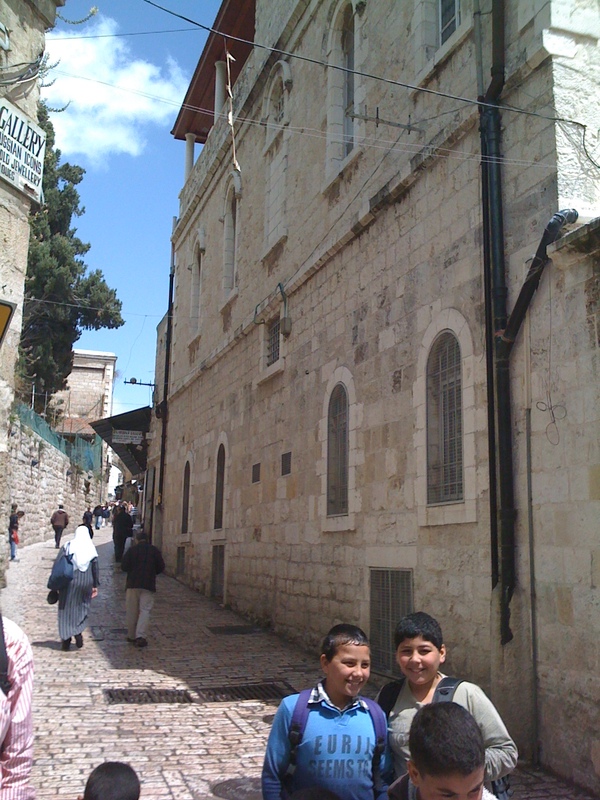 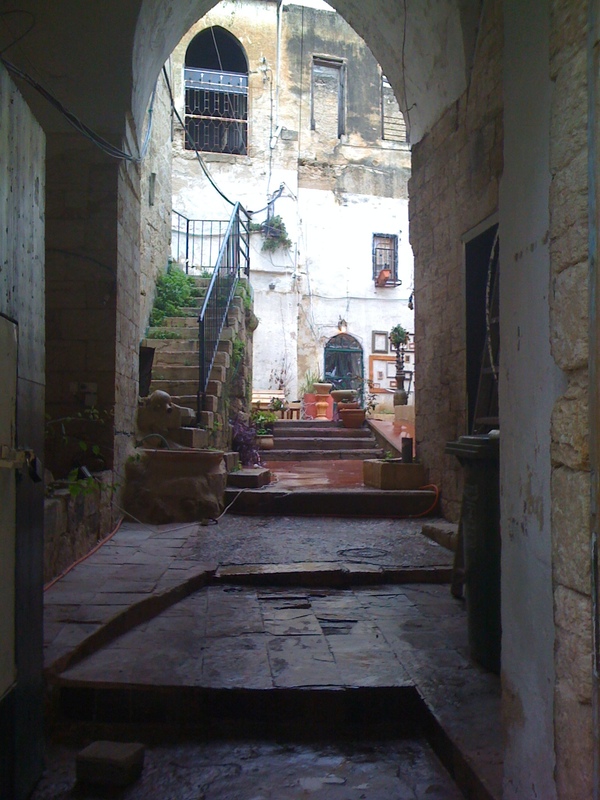 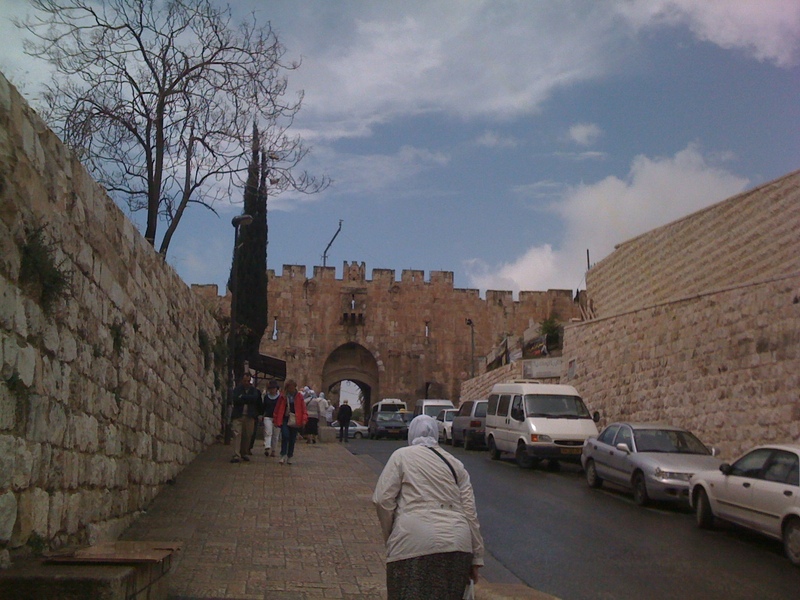 Approaching the Lion’s Gate – Old City Jerusalem. 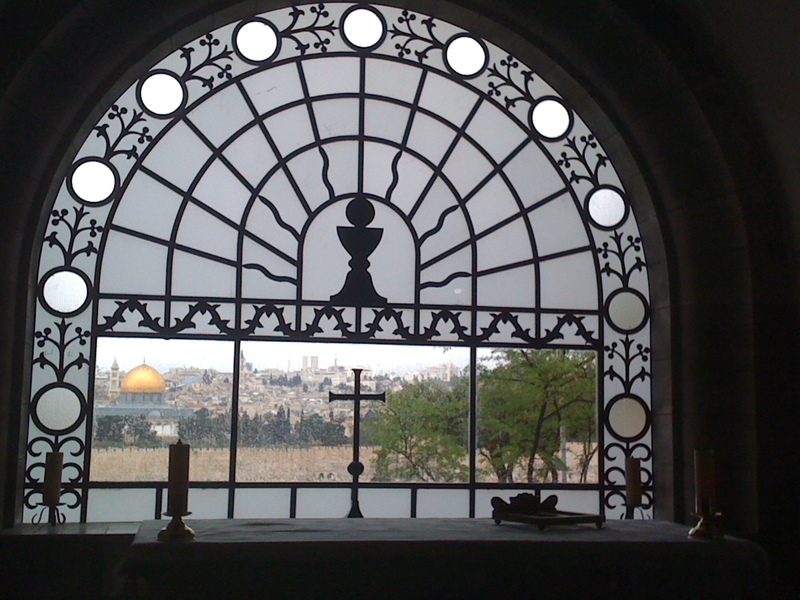 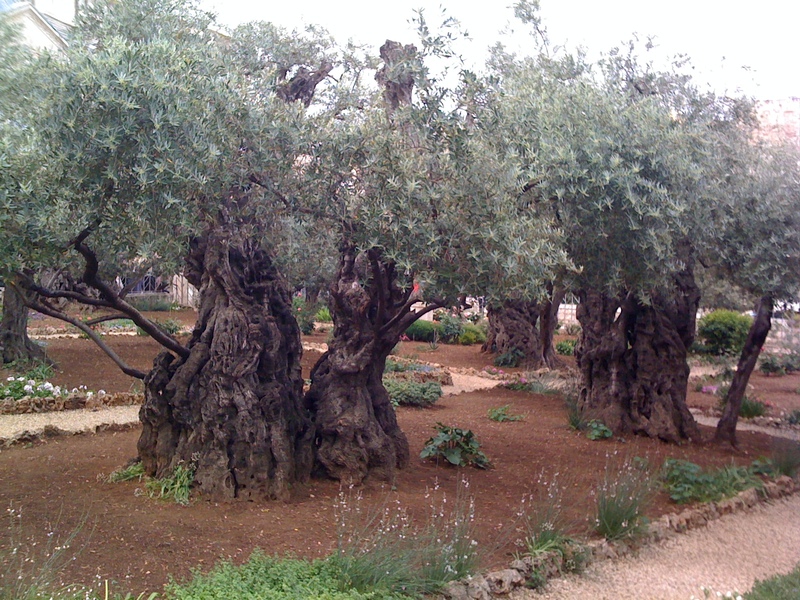 Garden of Gethsemane – Jerusalem. 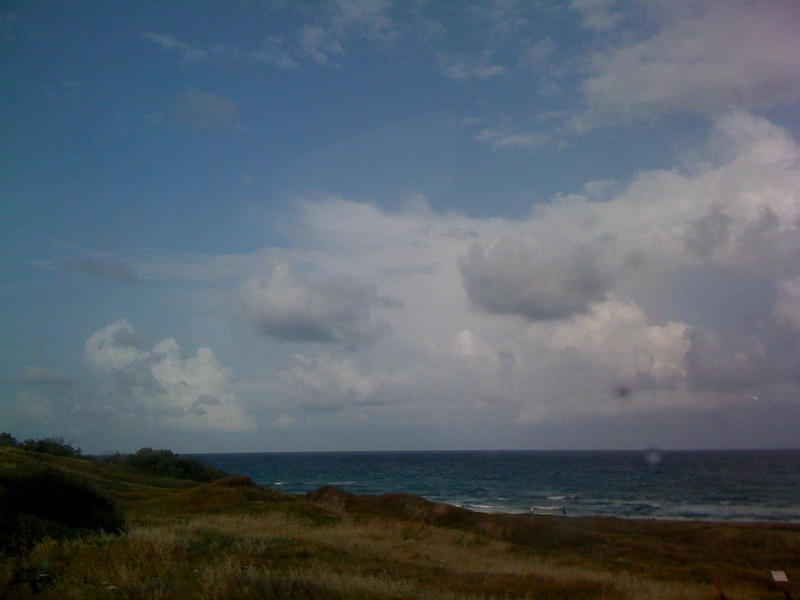 View from Mt. 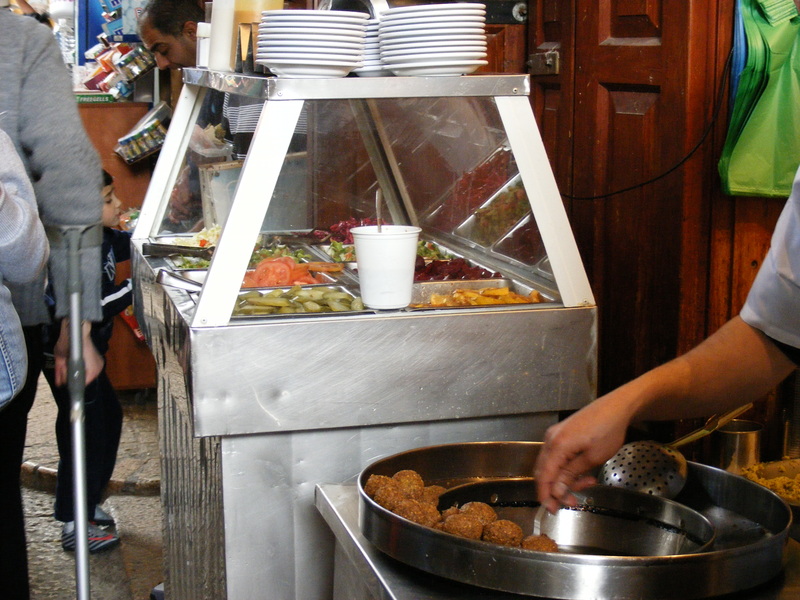 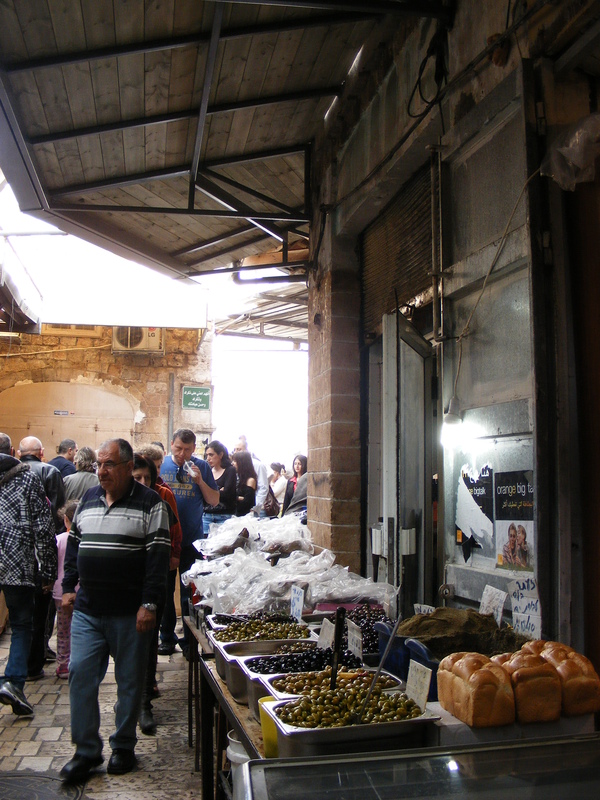 of Olives to Dome of the Rock – Jerusalem. 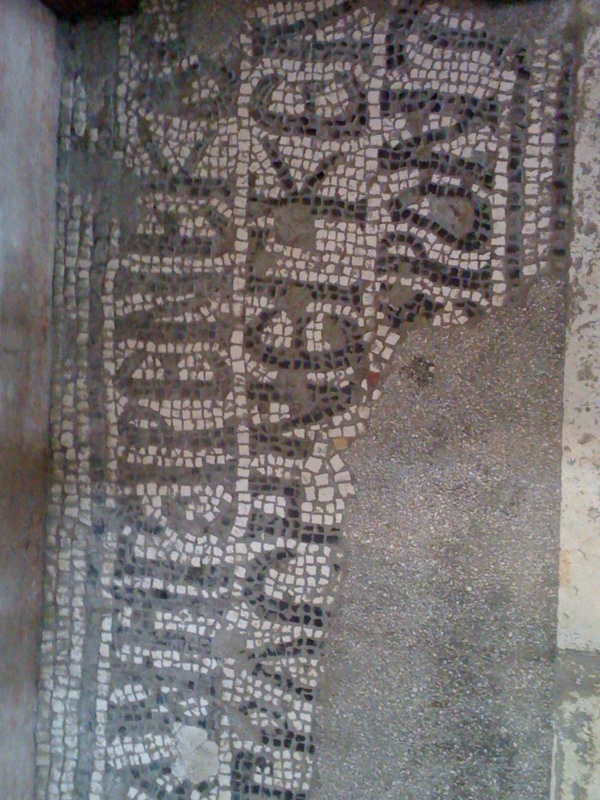 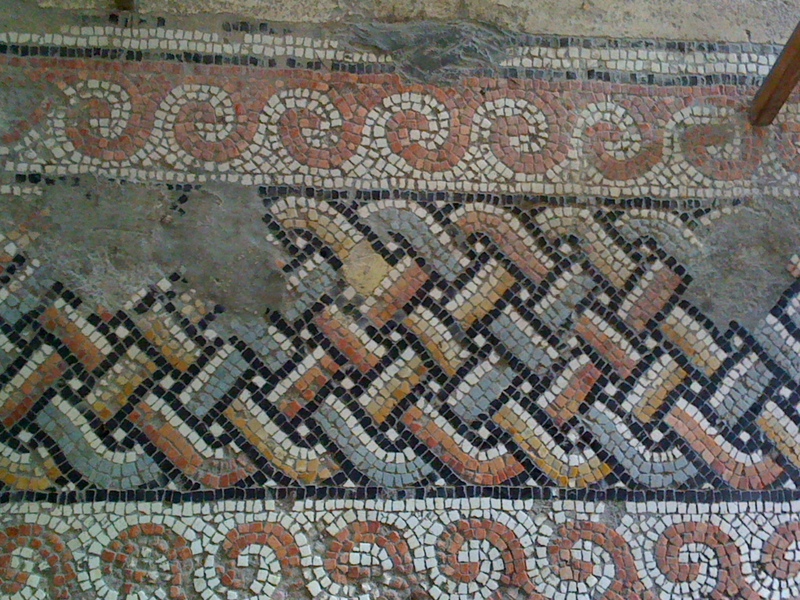 Mosaic in church on Mt. 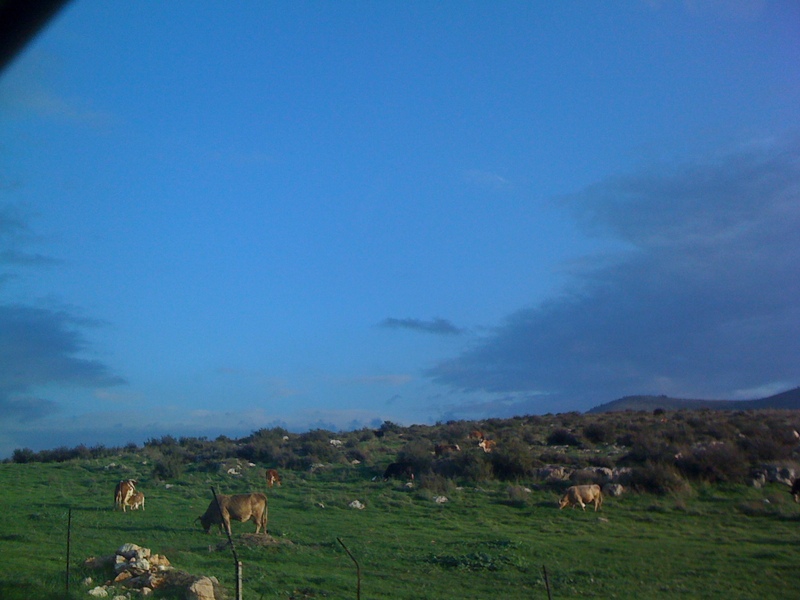 of Olives, near Jerusalem. 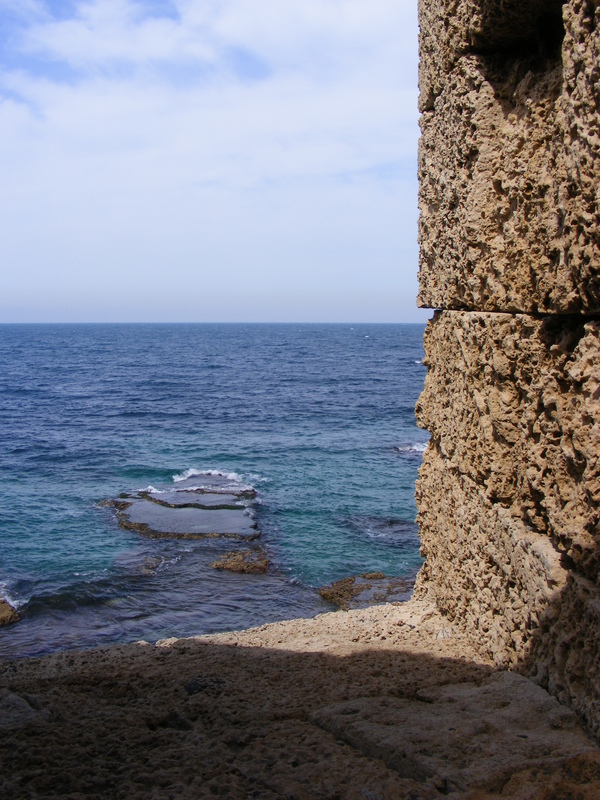 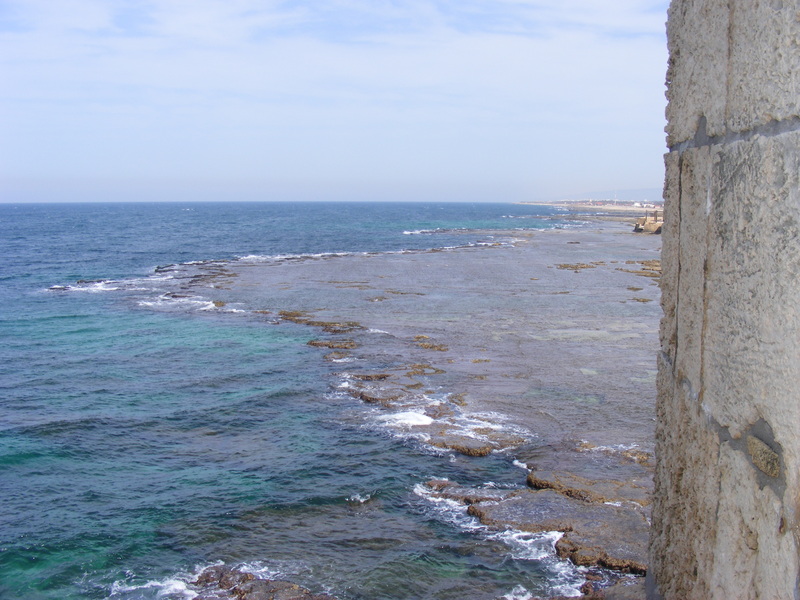 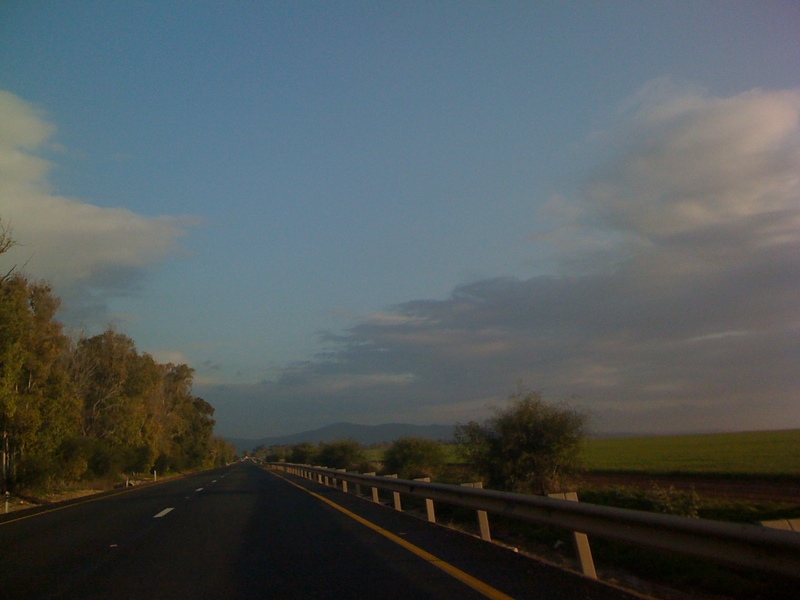 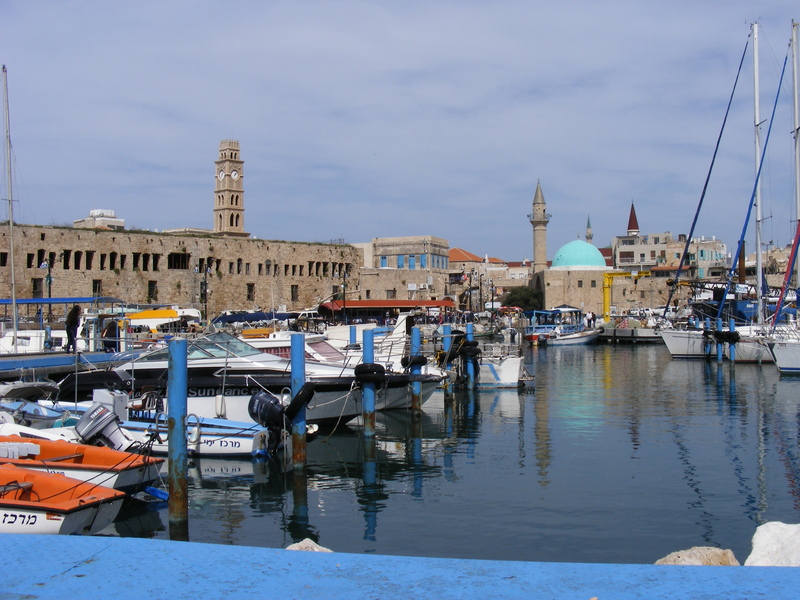 Mediterranean – coast of Israel south of Haifa. 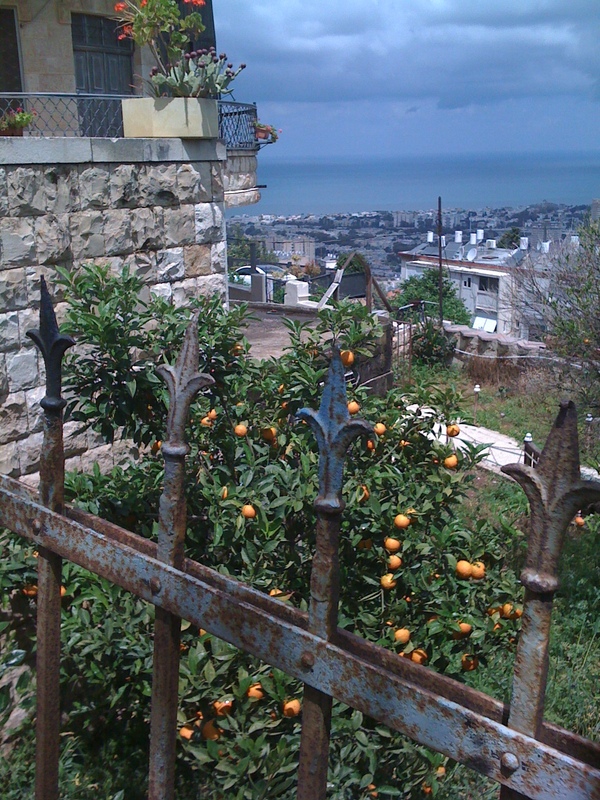 View from Hatzionut St. over Haifa to the bay. 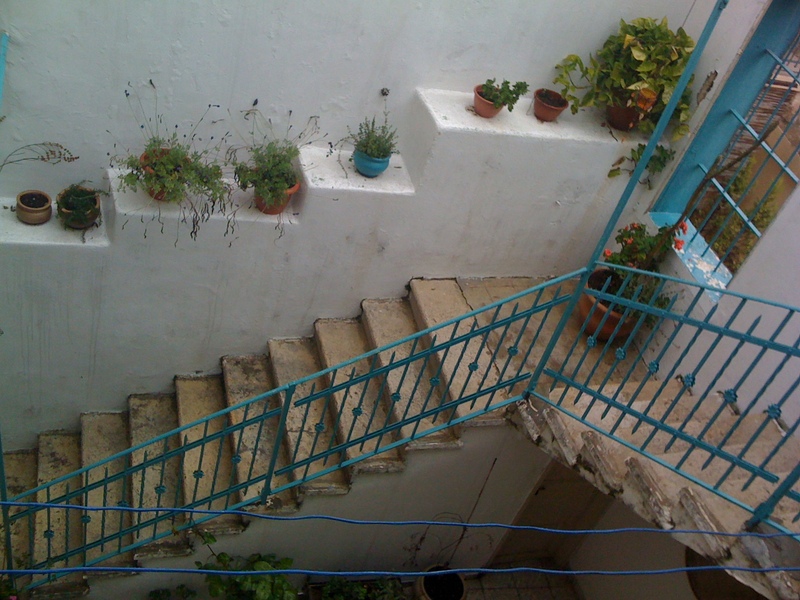 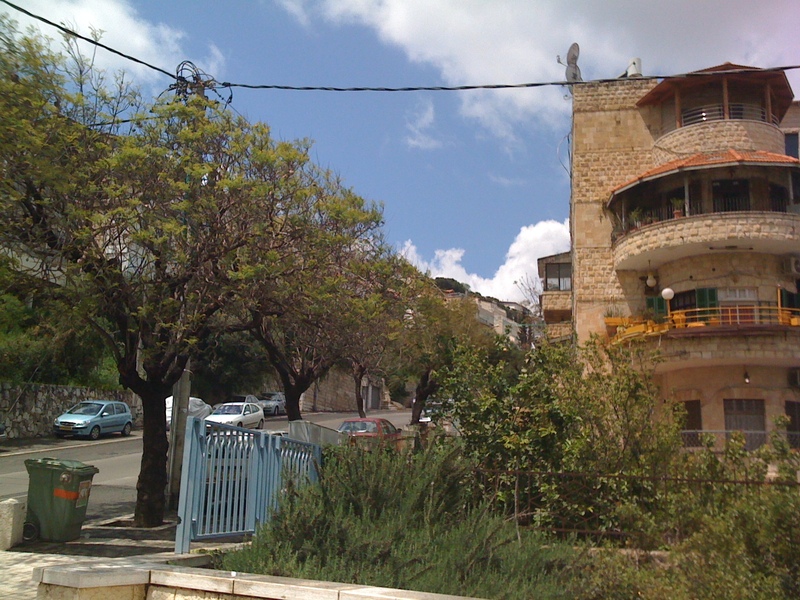 Garden on Hatzionut Street, Haifa. 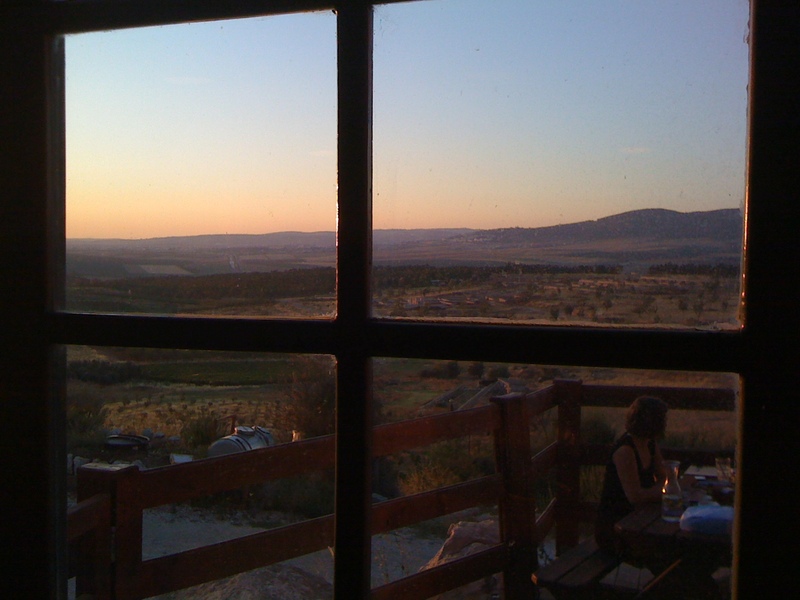 View of valley from the Herb Farm Restaurant, near the Gilboa Mts. 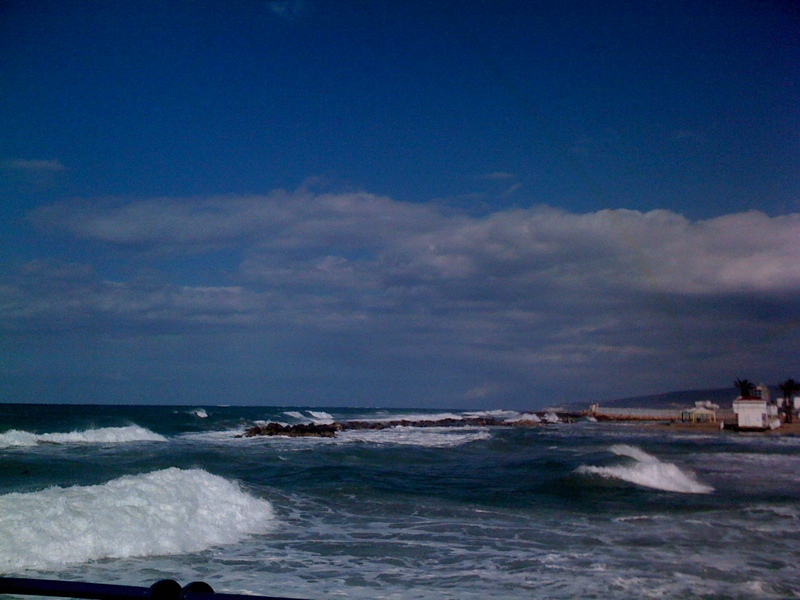 Looking towards Lebanon from beach pier at Nahariyah. 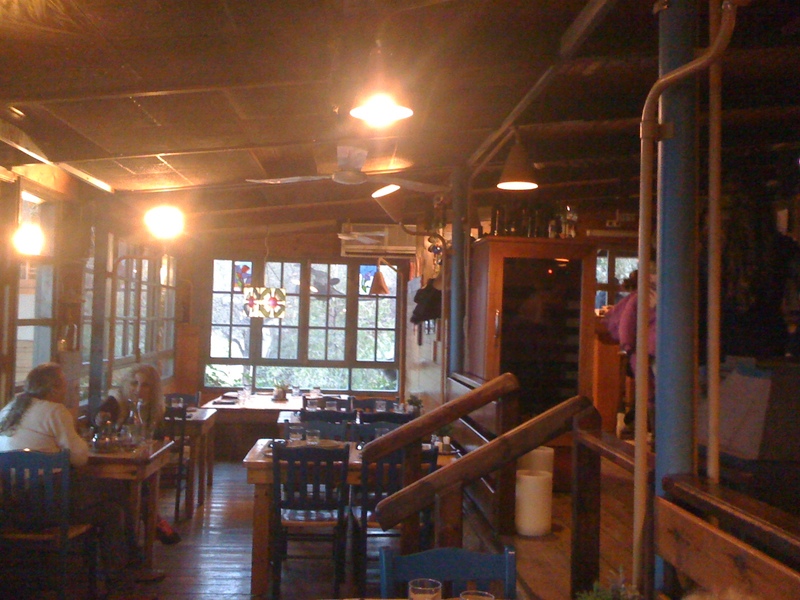 Interior of The Herb Farm Restaurant, near Gilboa National Forest. 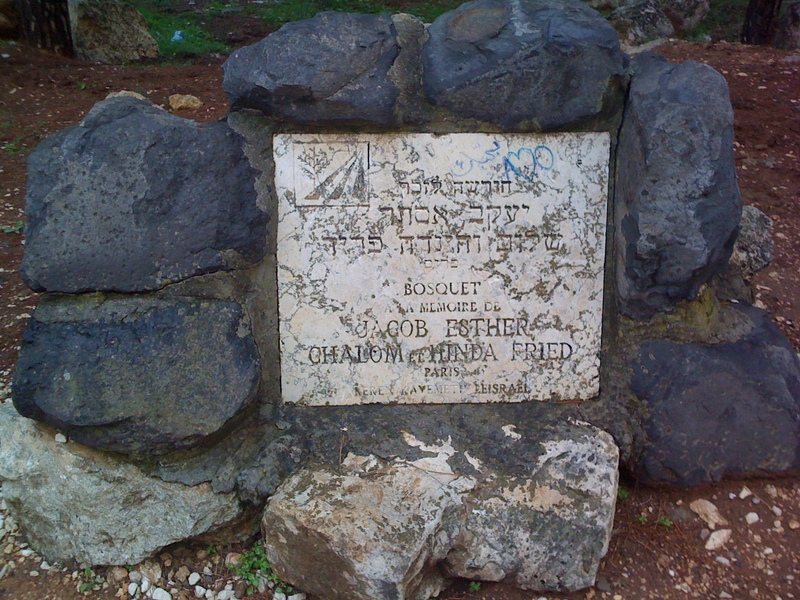 Memorial to donators of trees to the Gilboa National Forest. 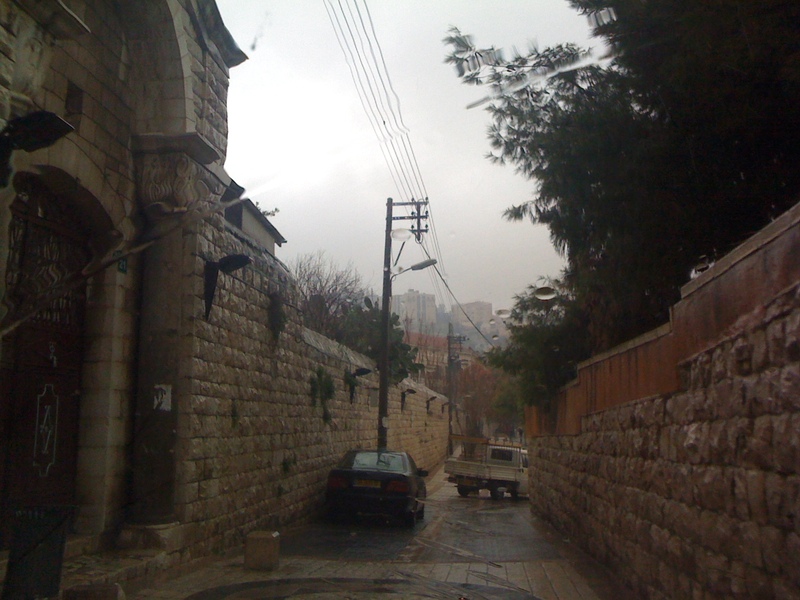 Driving through the ancient narrow streets of Nazareth. 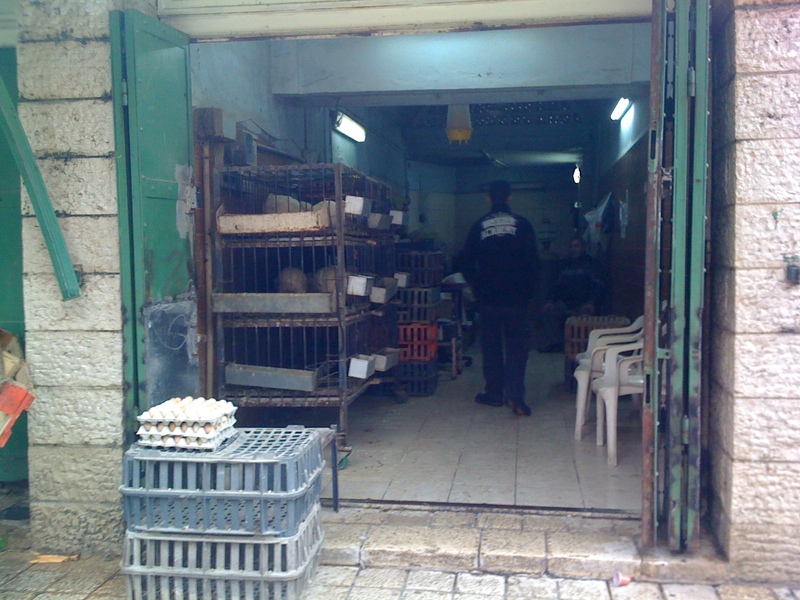 What’s for sale – the eggs, or chickens? . 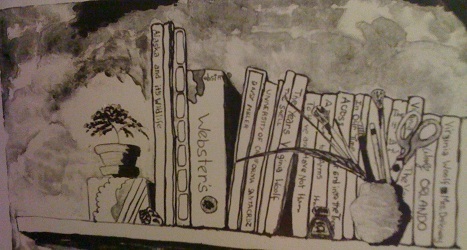 . . not sure! 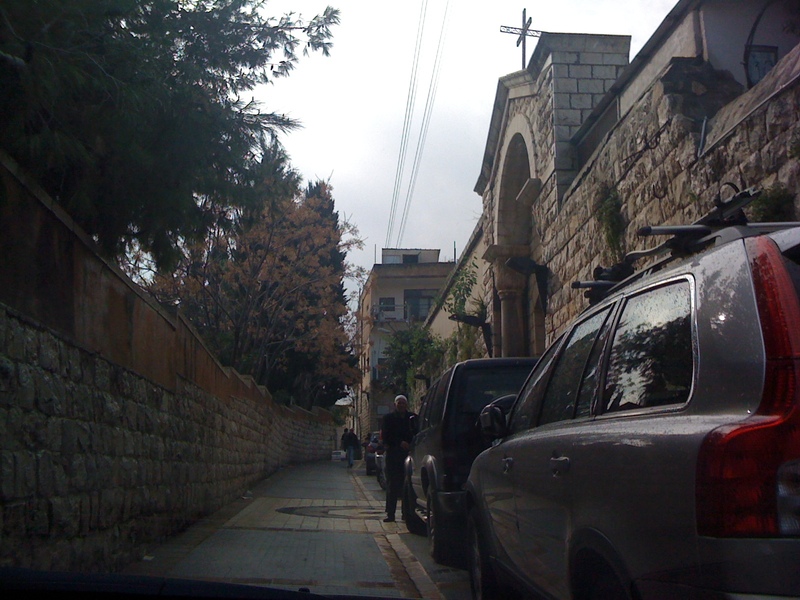 This a road, not a sidewalk, and we were driving on it! 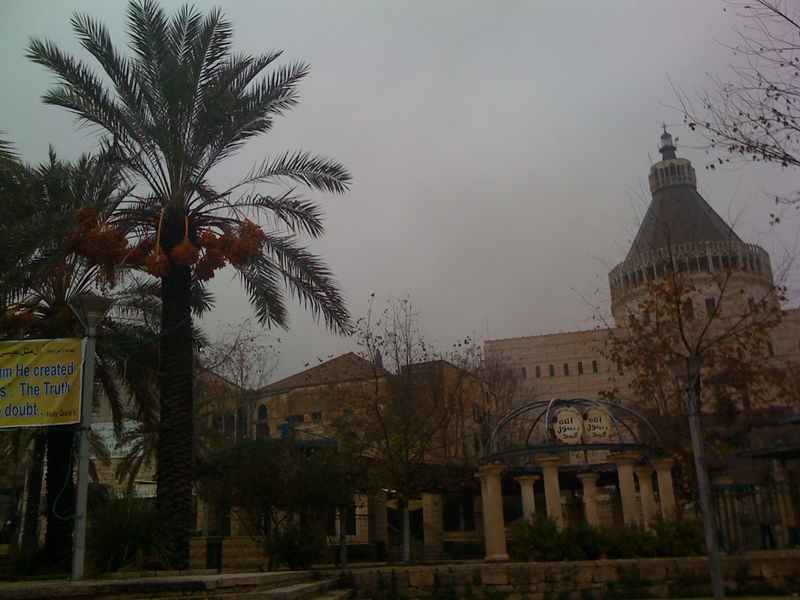 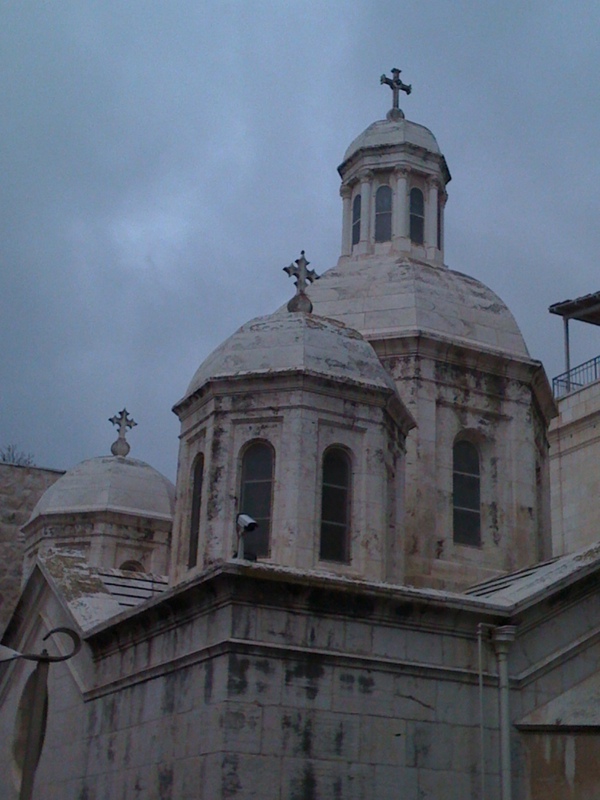 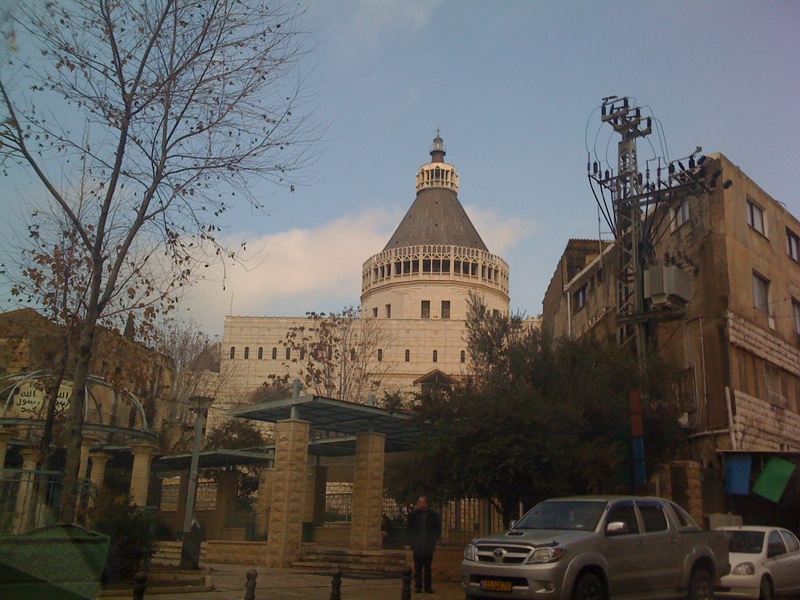 The famous landmark church of Nazareth. 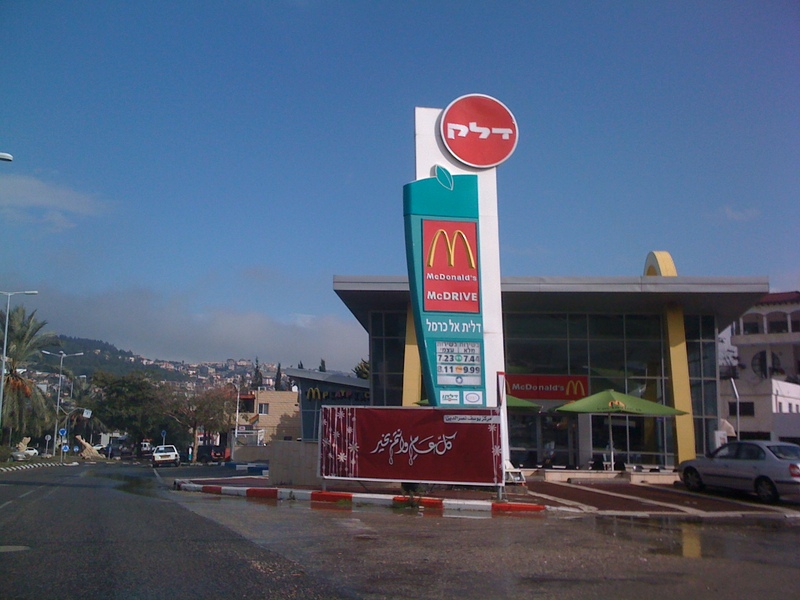 McDonalds in Druze village of Daliyat Al Karmiel, near Haifa. 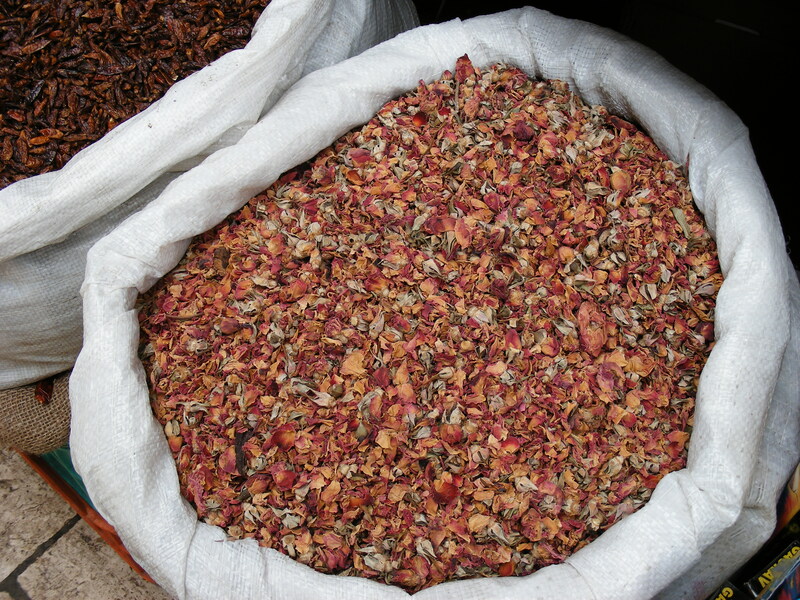 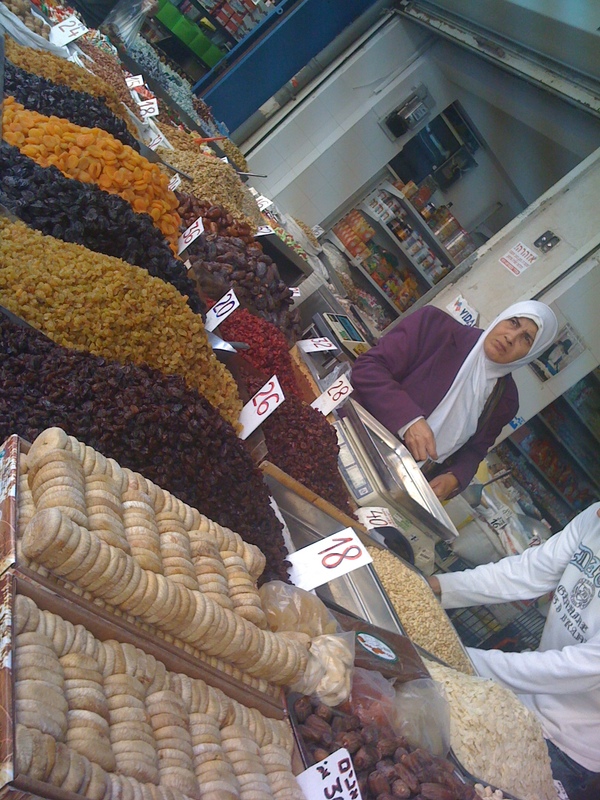 Dried fruits – market in Nazareth. 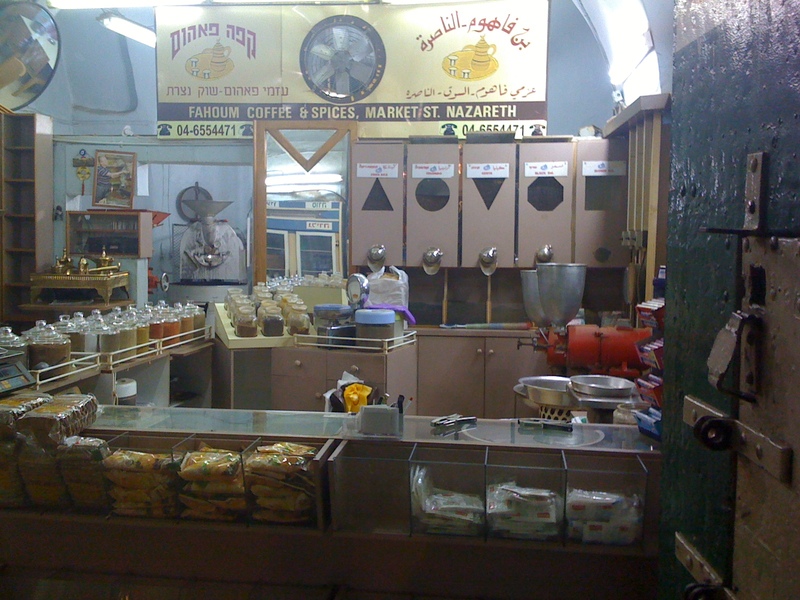 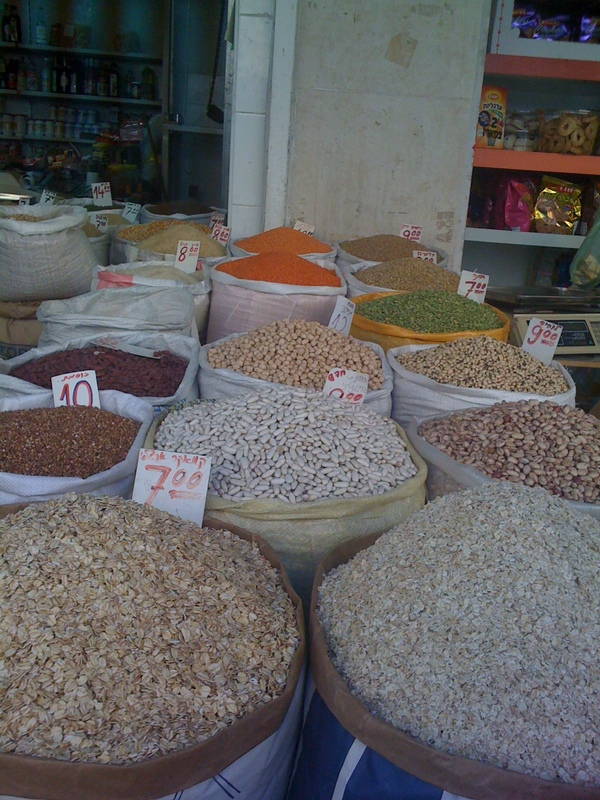 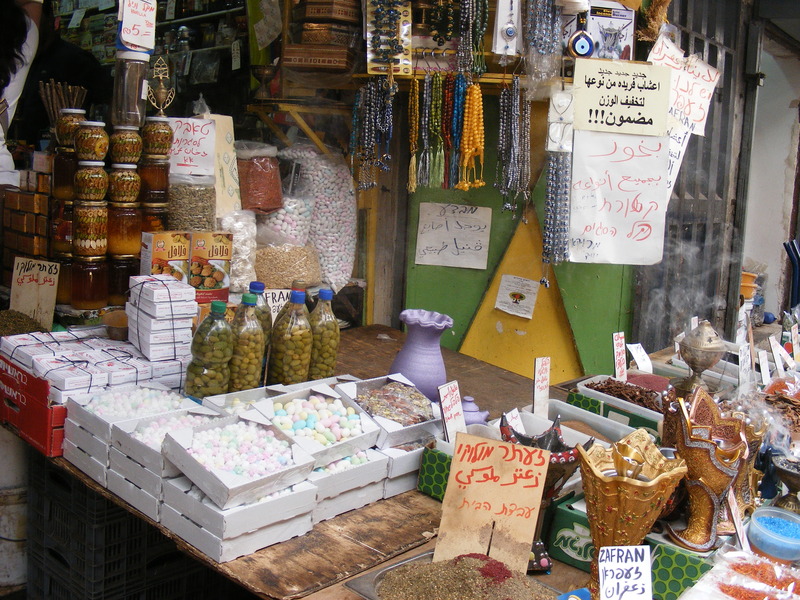 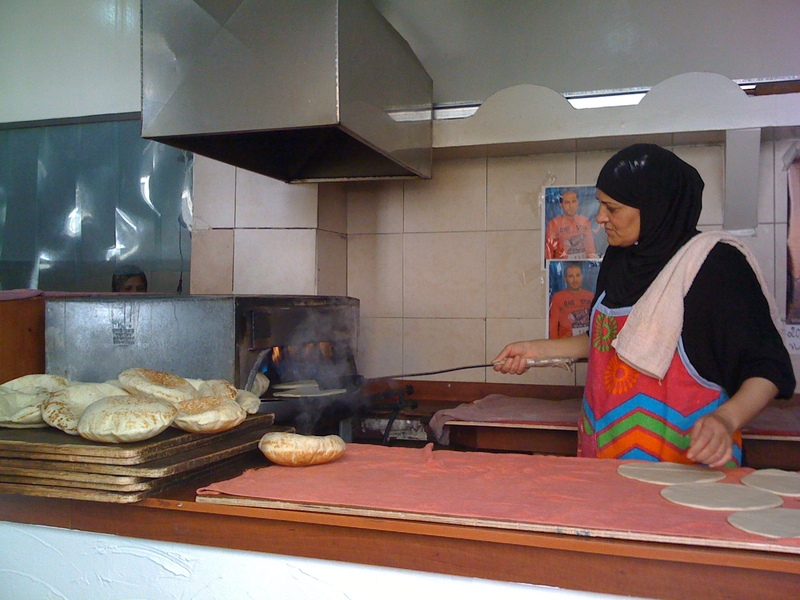 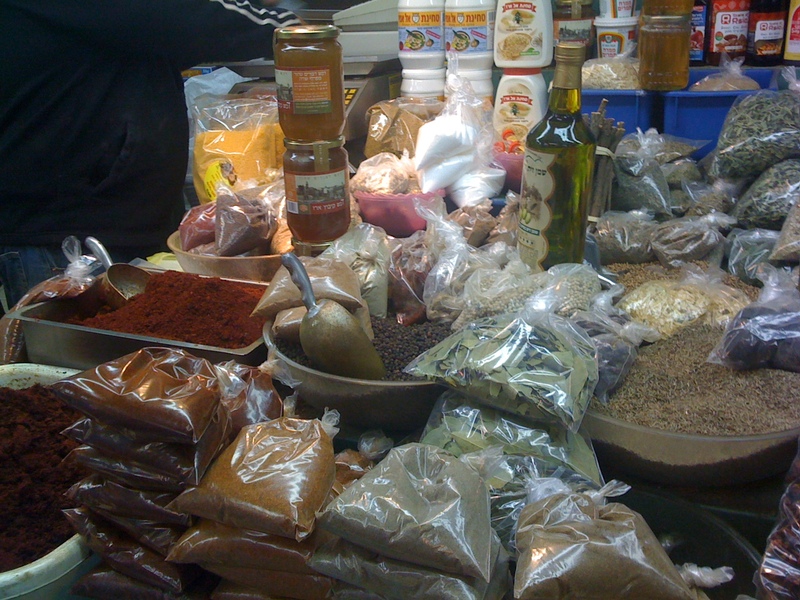 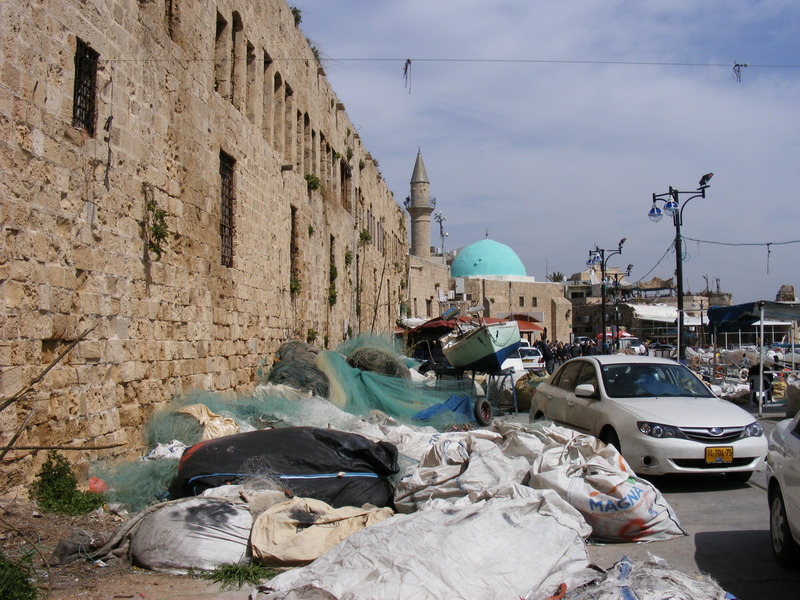 Dried beans and lentils – market place in Nazareth. 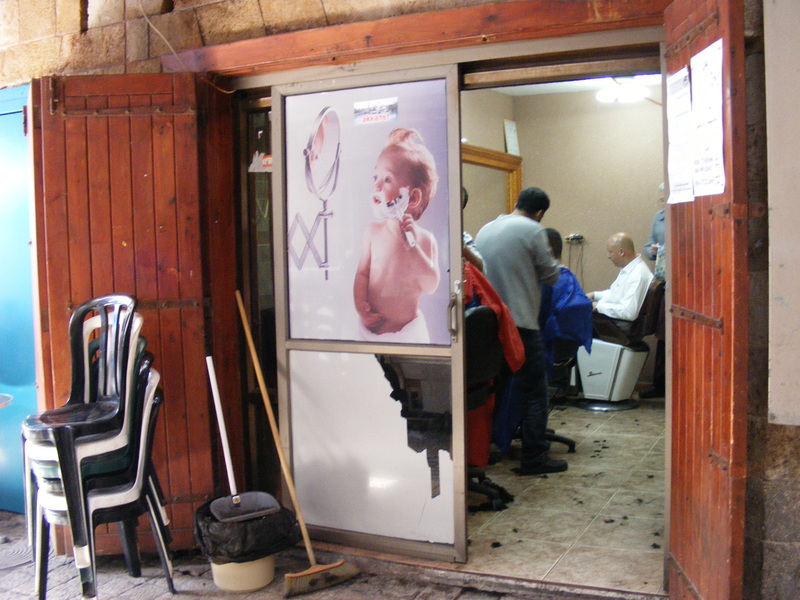 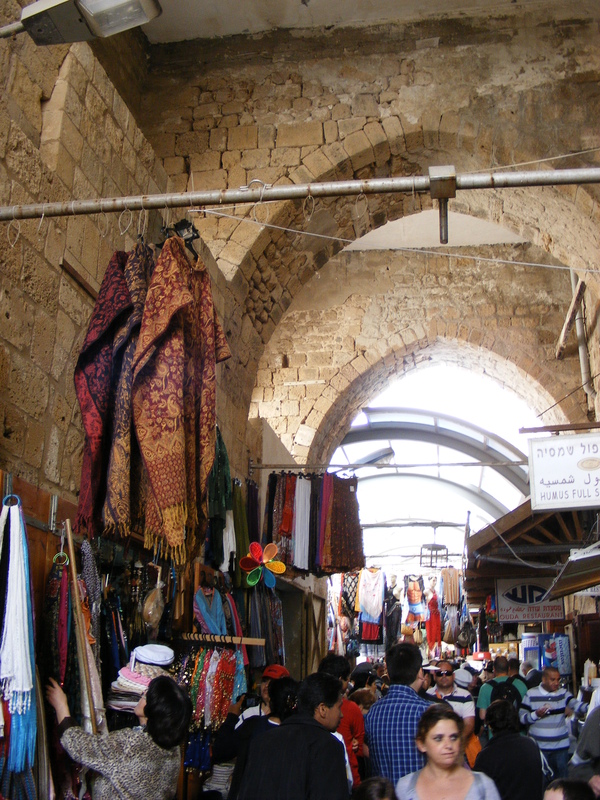 Jewish quarter of Old City Jerusalem. 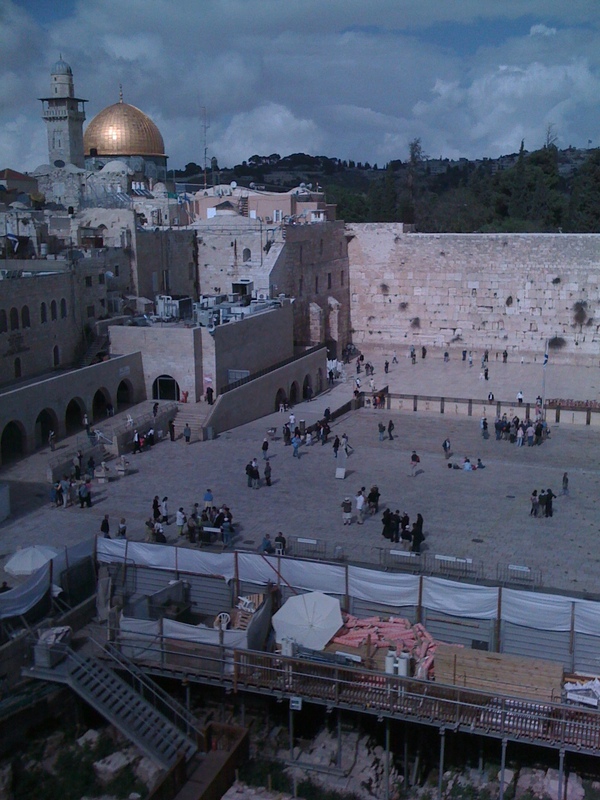 View of wailing wall with Dome of the Rock in background – Old City Jerusalem. 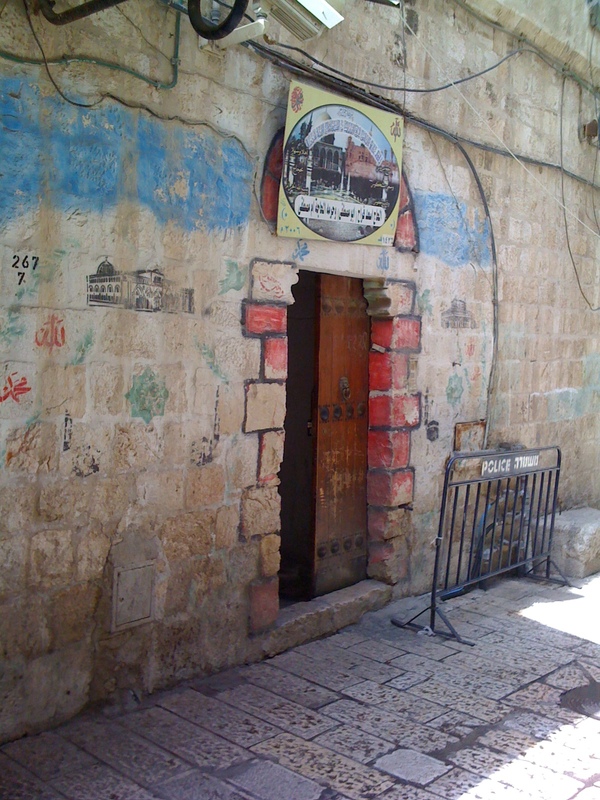 Red decoration around doorway indicates that inhabitant of this house has made pilgrimage to Mecca. 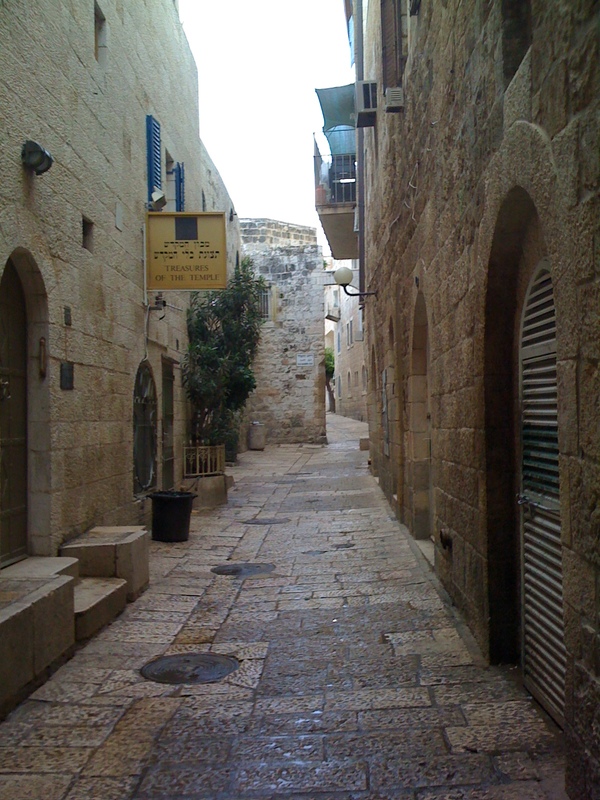 Street in Old City Jerusalem. 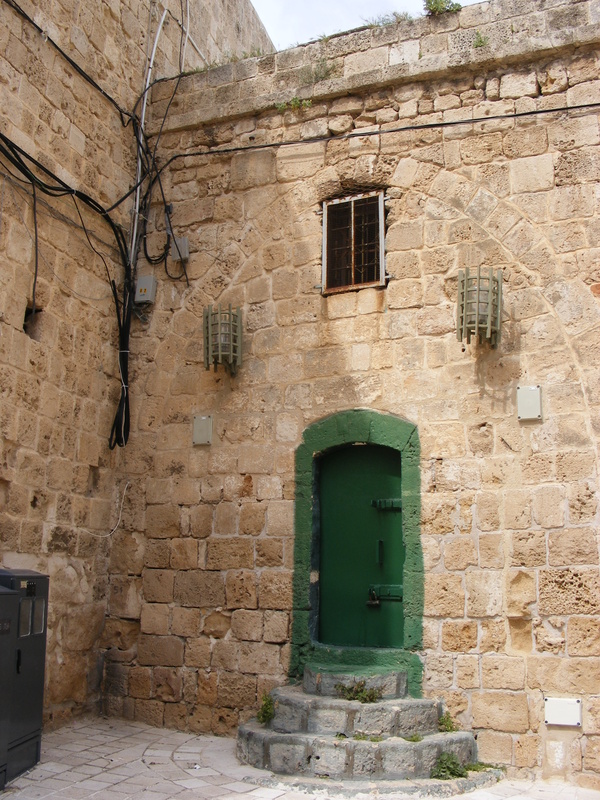 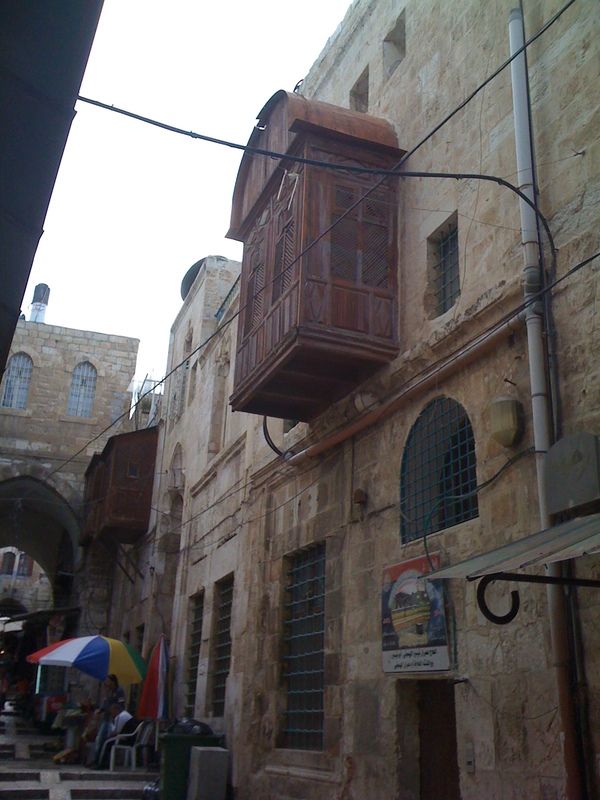 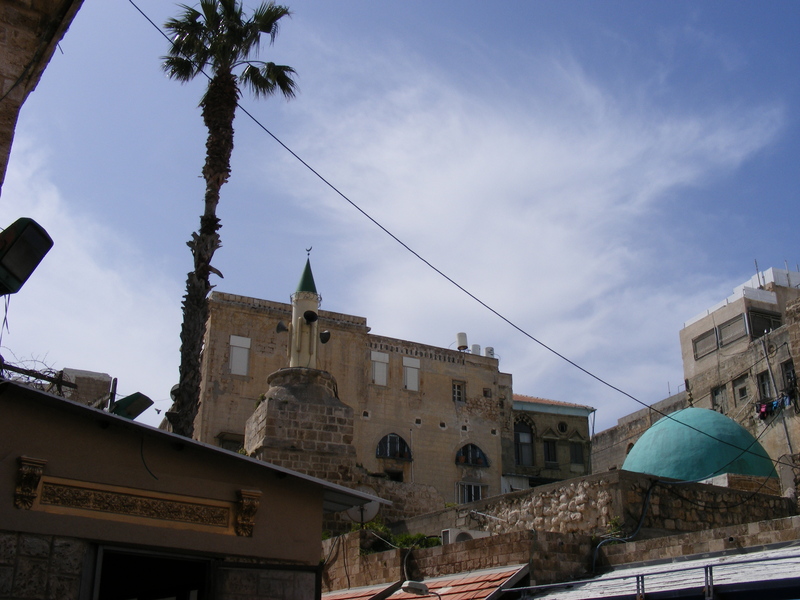 Women’s enclosed wooden observation balcony – Old City Jerusalem. 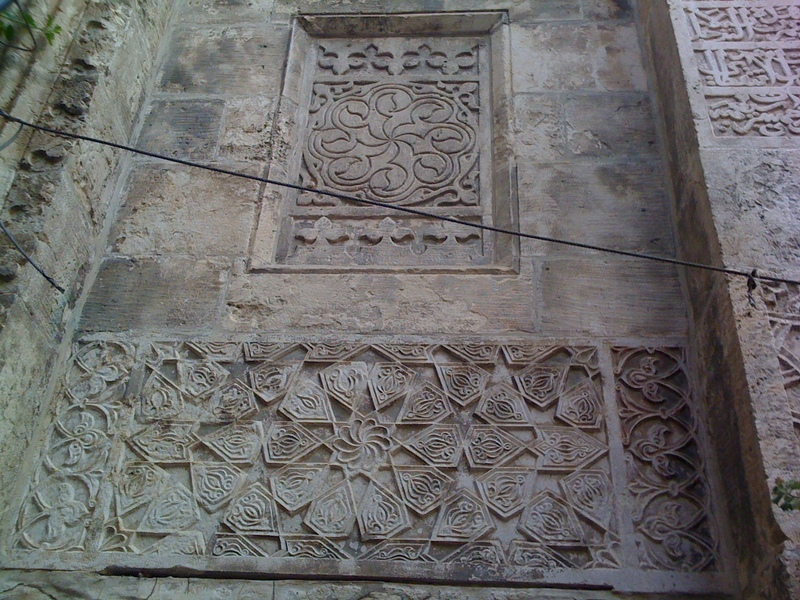 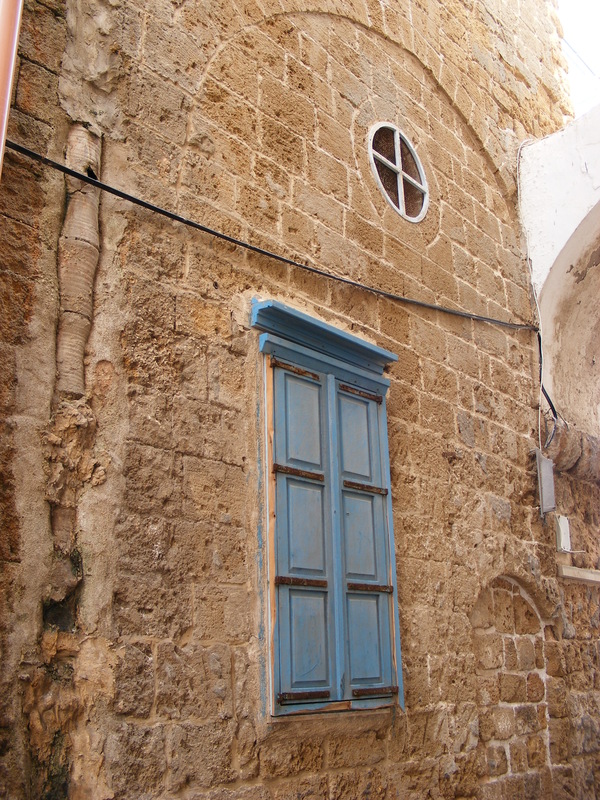 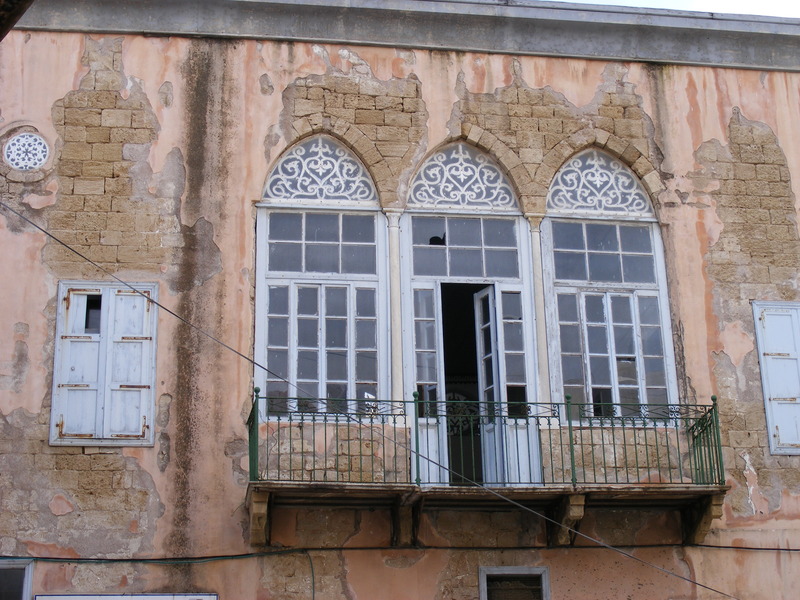 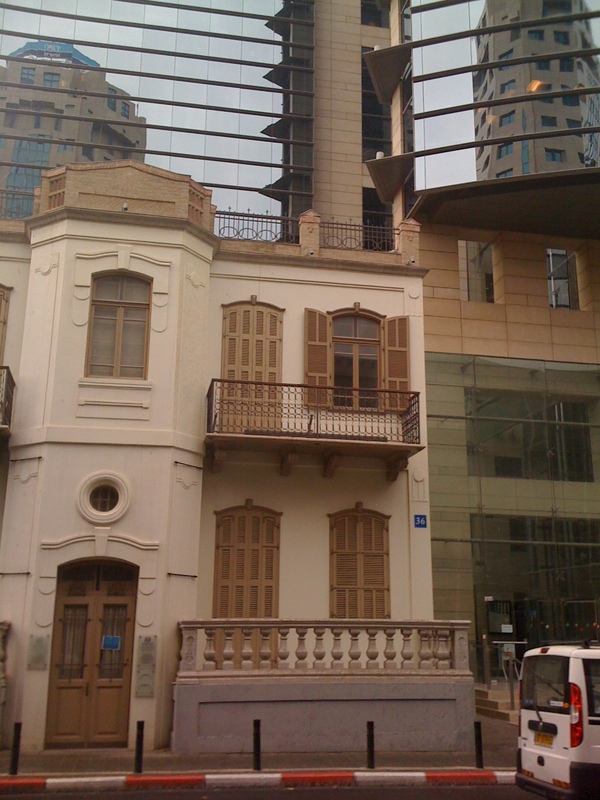 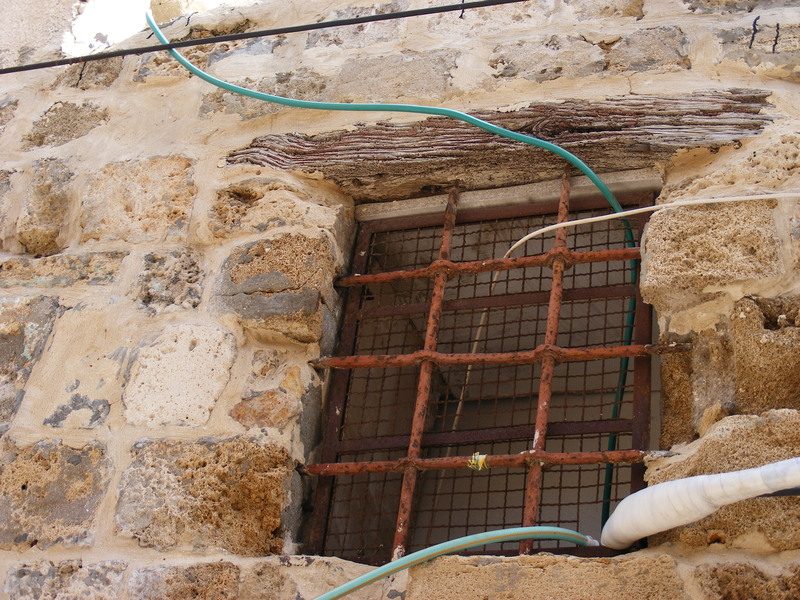 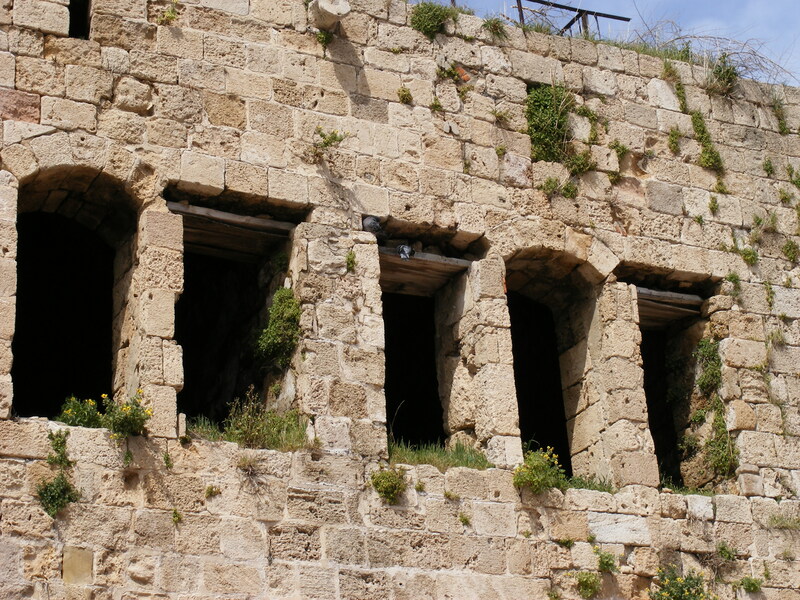 Architectural details from different centuries – Old City Jerusalem. 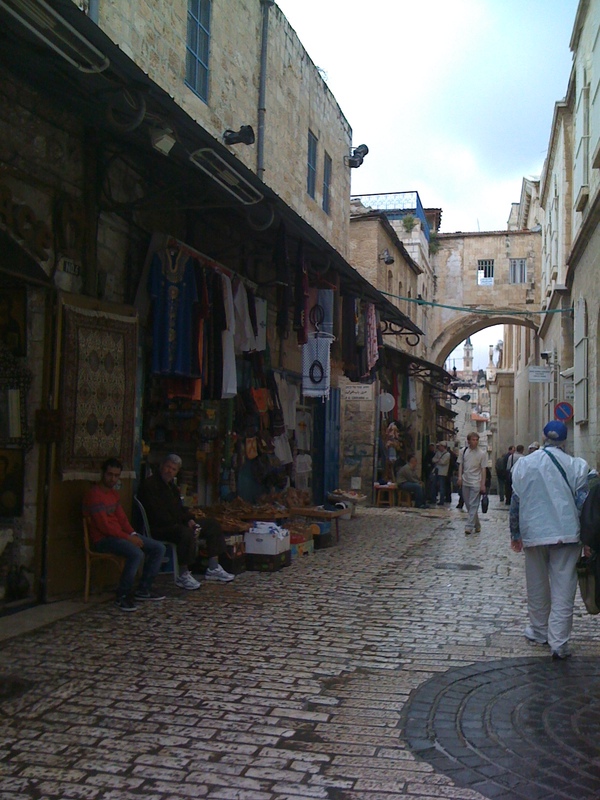 Street in Old City Jerusalem. 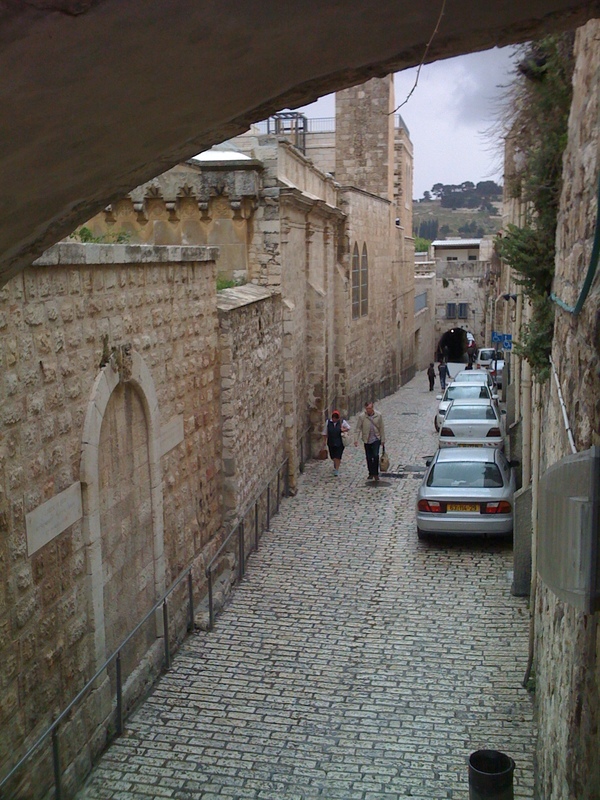 Looking down into a street in Old City Jerusalem. 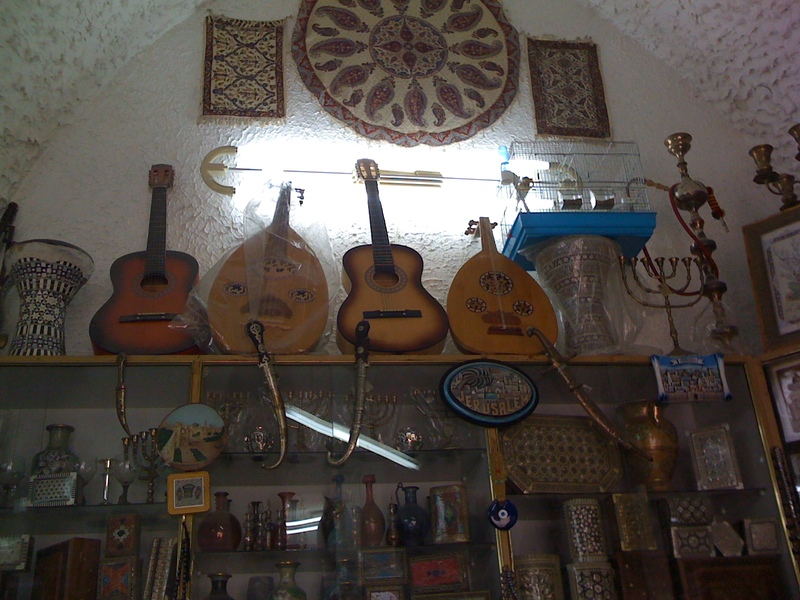 Shop selection including musical instruments. 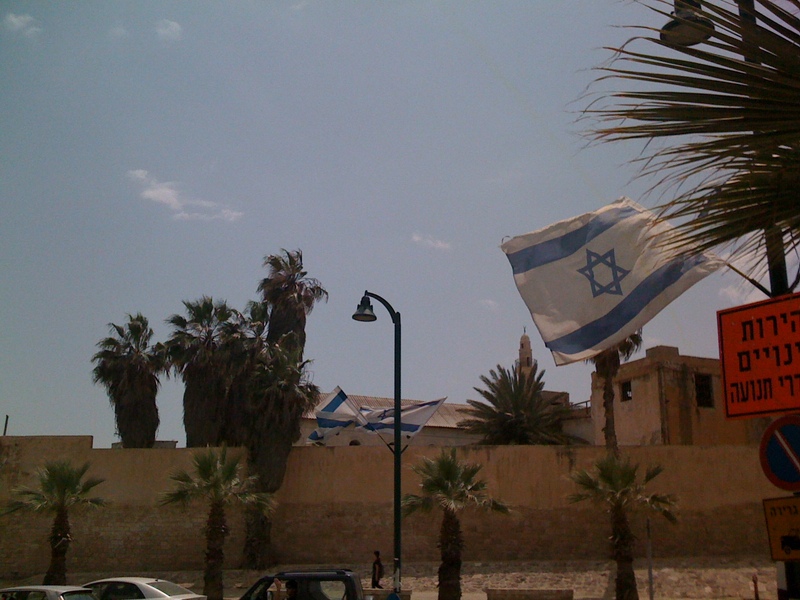 Israeli flag flying n Jerusalem. 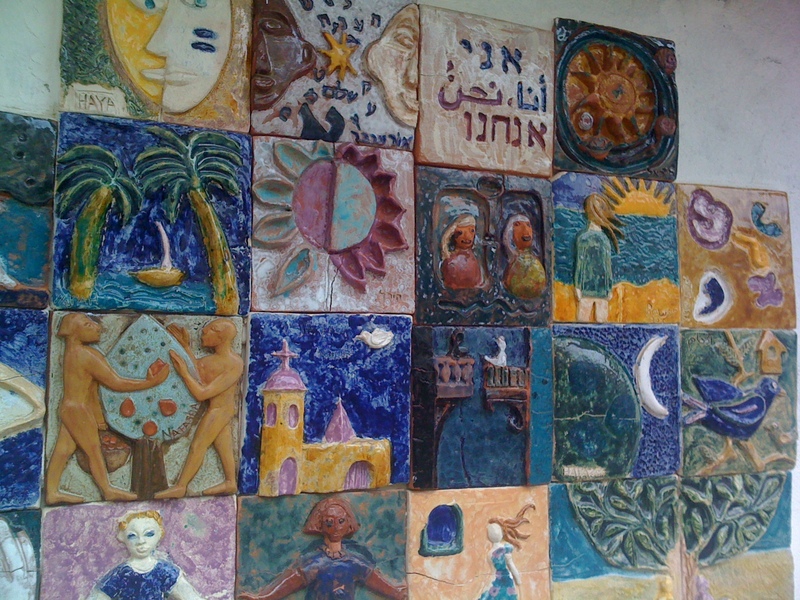 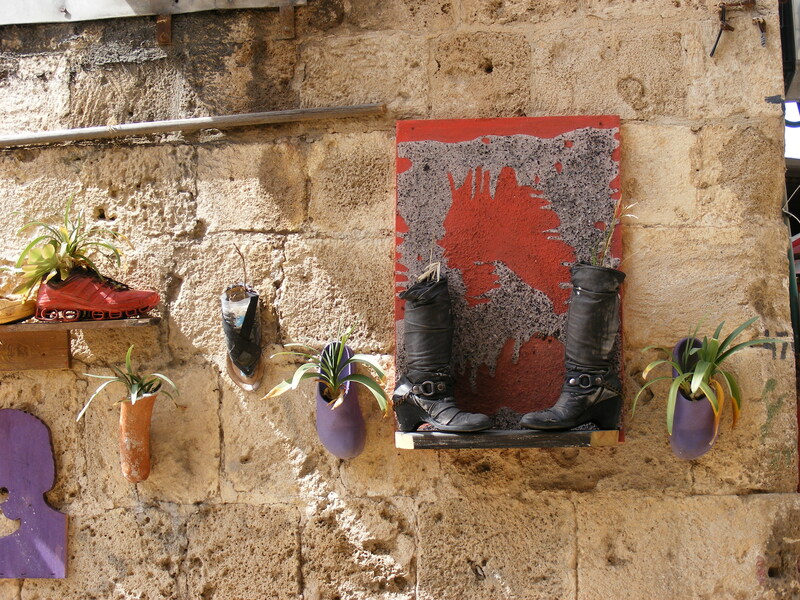 Tile wall art – Wadi Nisnas, Haifa. 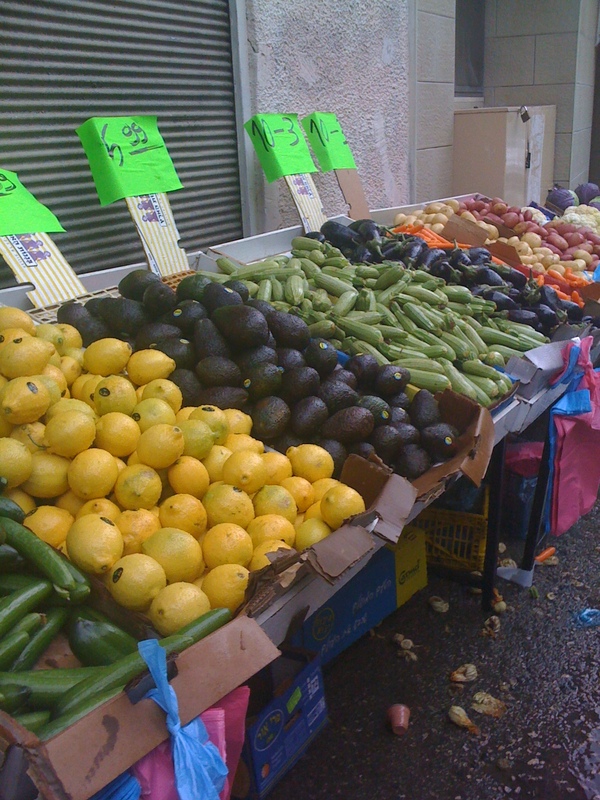 Fruits and vegetables – Wadi Nisnas, Haifa. 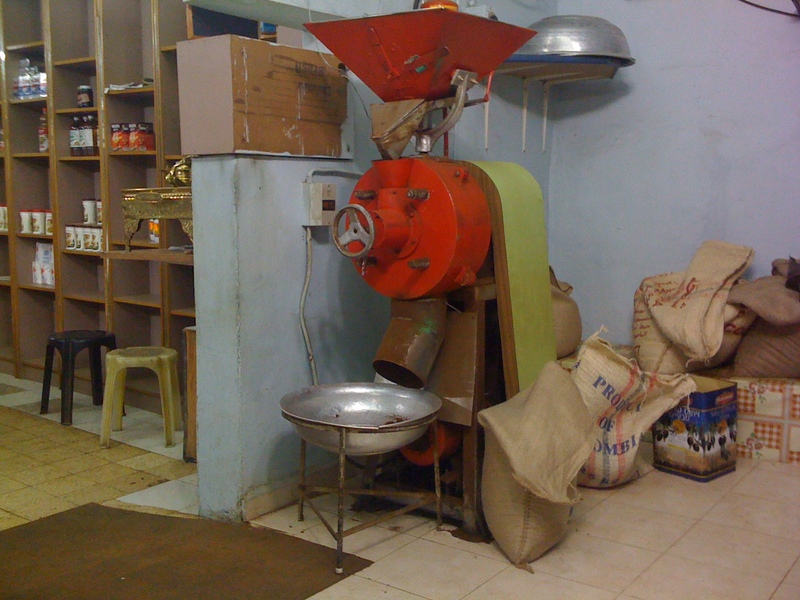 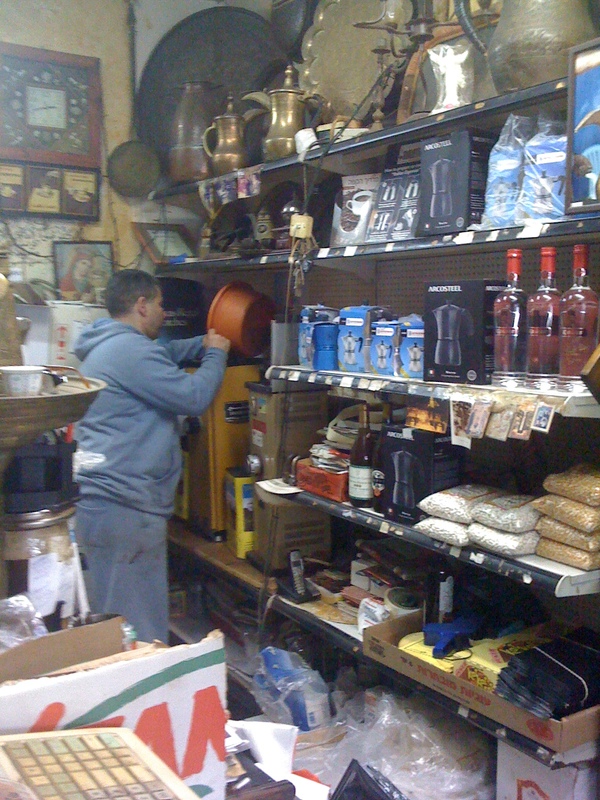 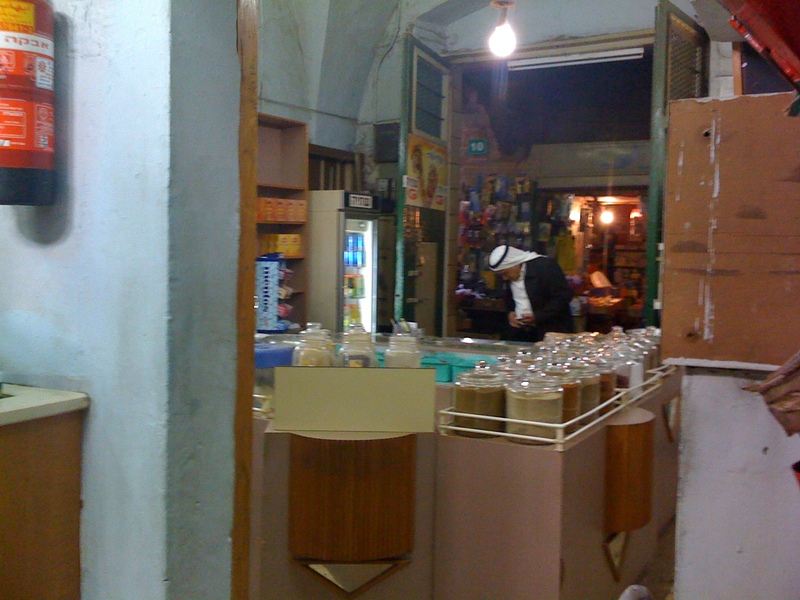 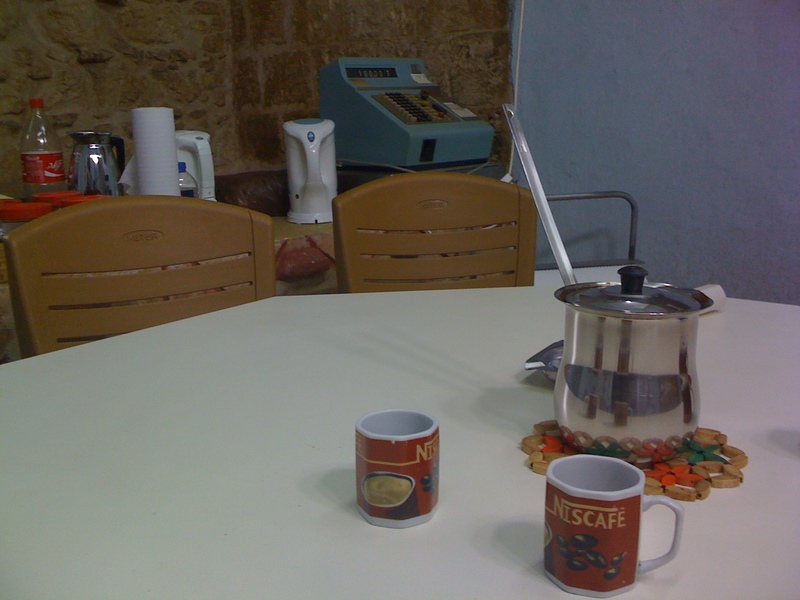 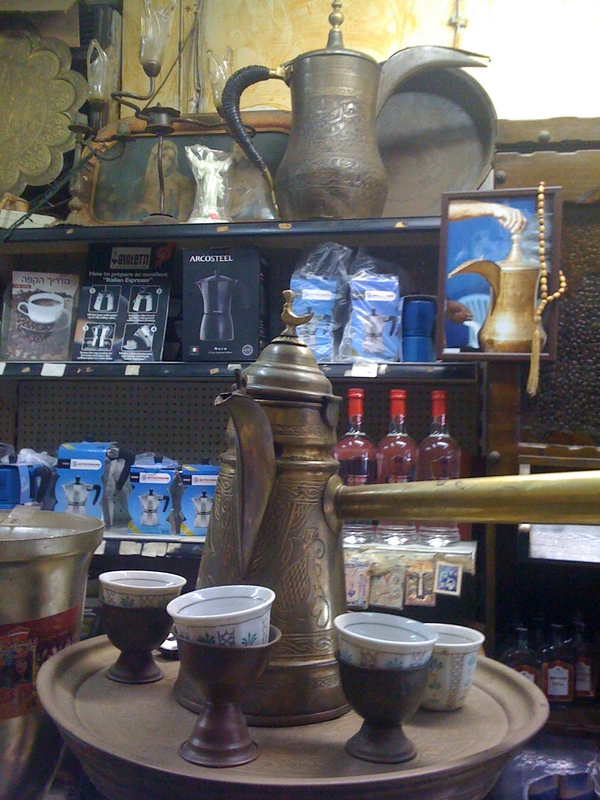 Coffee seller’s Turkish coffee serving set – Wadi Nisnas, Haifa. 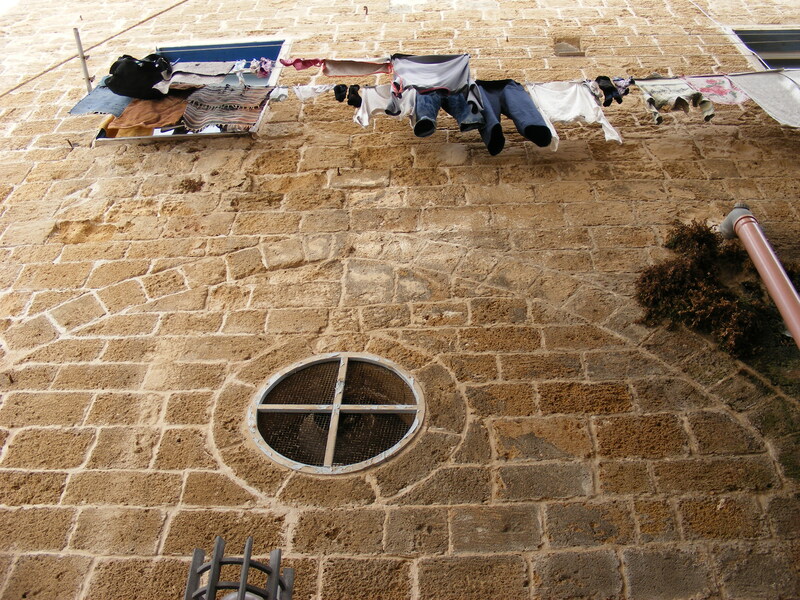 Akká on a beautifully sunny day. 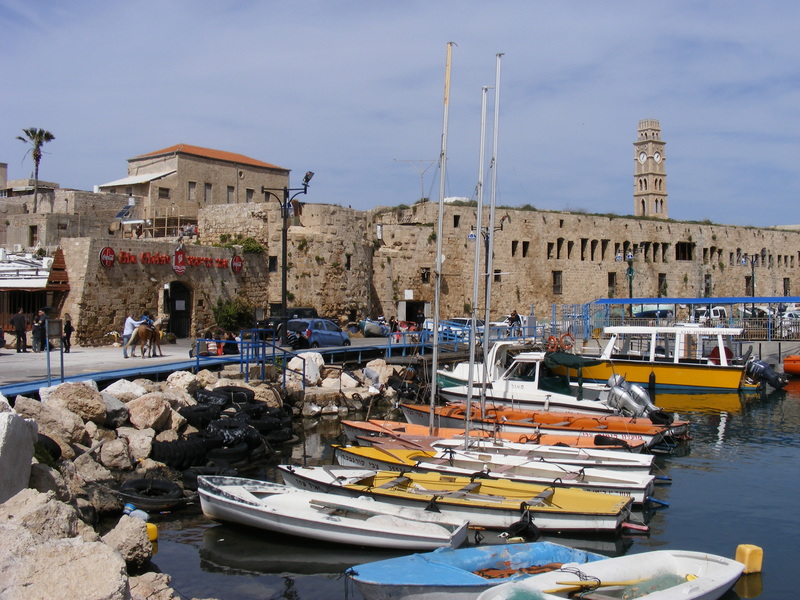 Started my three hour walk by heading down to the Fishermen’s Harbour and marina. 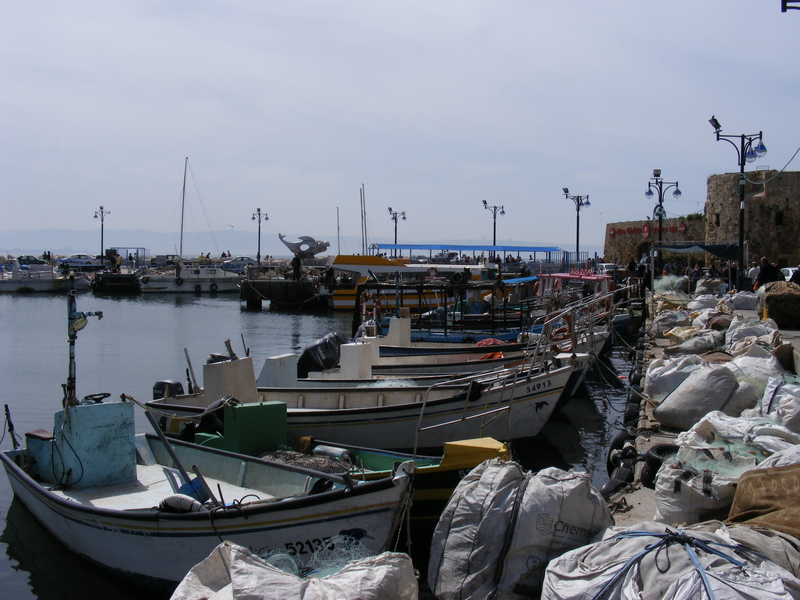 Had to dodge piles of nets as well as netting stretched out for repairs. 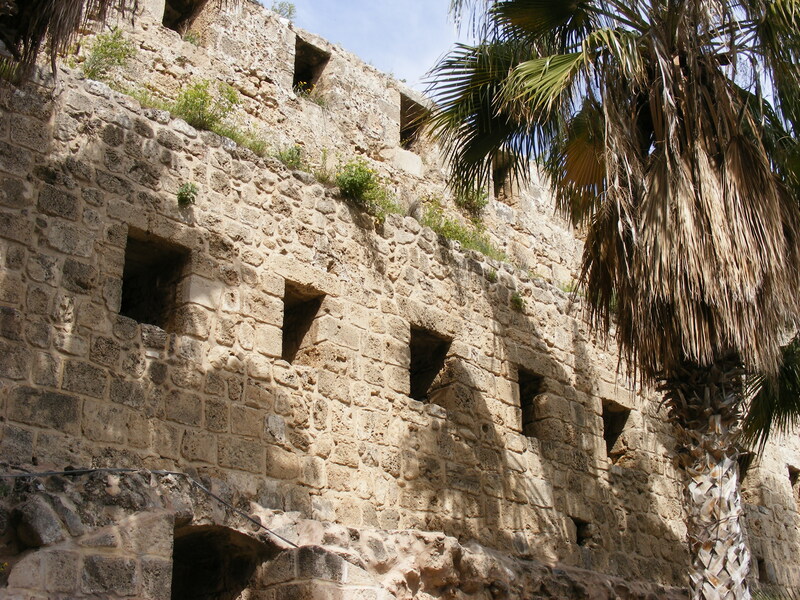 Looking up to the top of the wall of the Khan el Omdan. 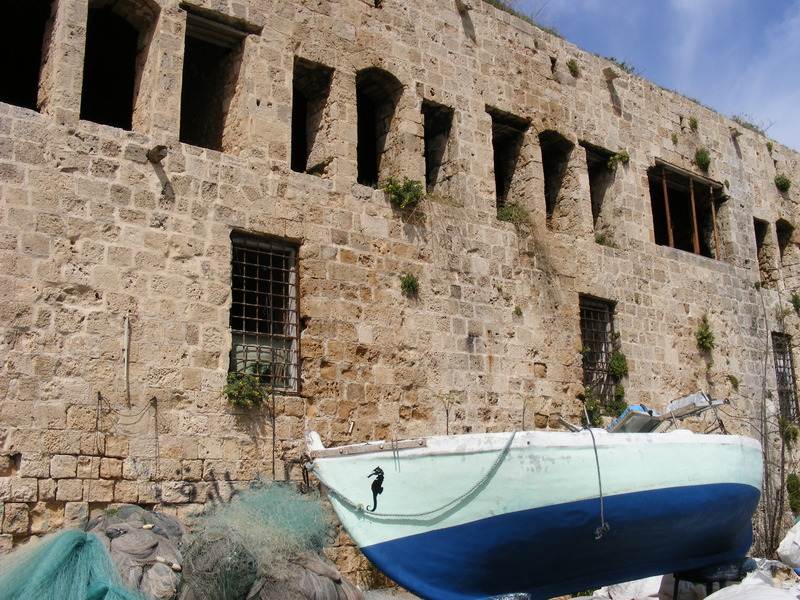 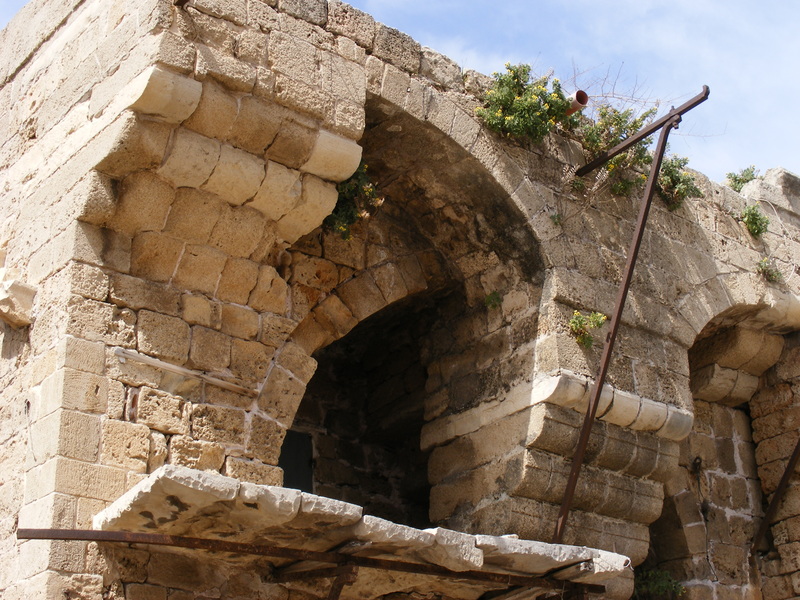 The building at left is a restaurant built on the spot of the Sea Gate to the ancient city of Akká. 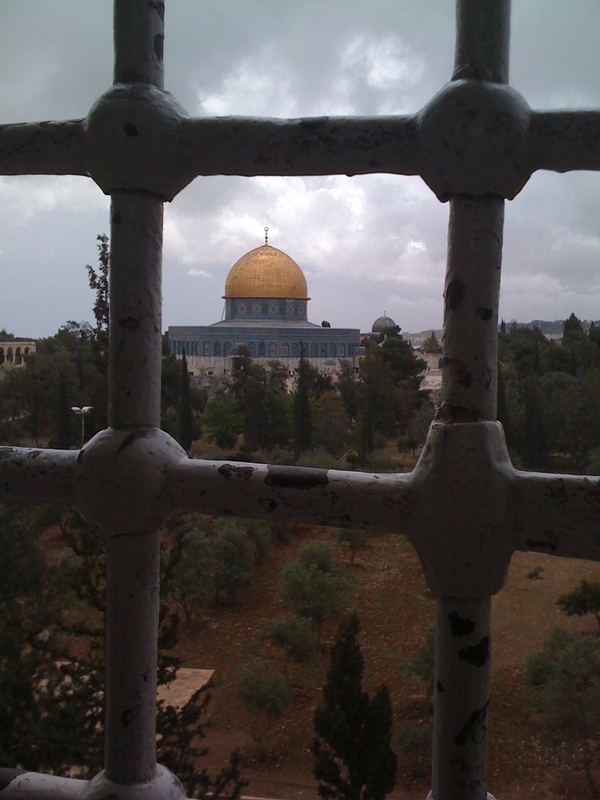 In the distance is the Sinan Basha Mosque with green dome. 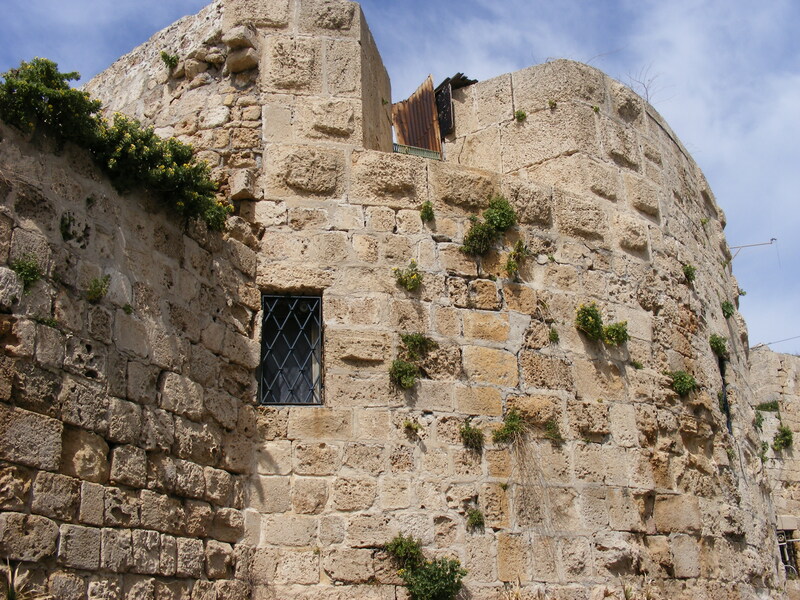 The long wall at left with openings is the wall of the Khan with clock tower at back, Akká. 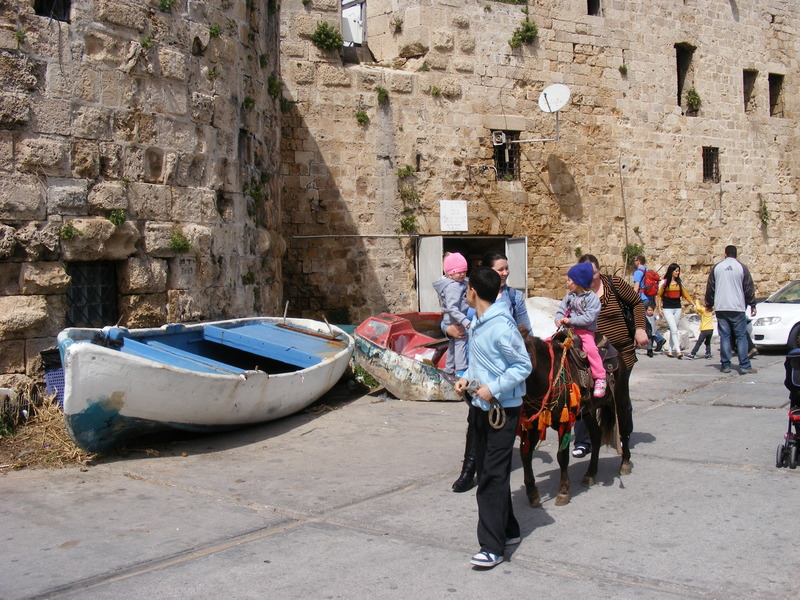 Akká along the Pisan harbour. 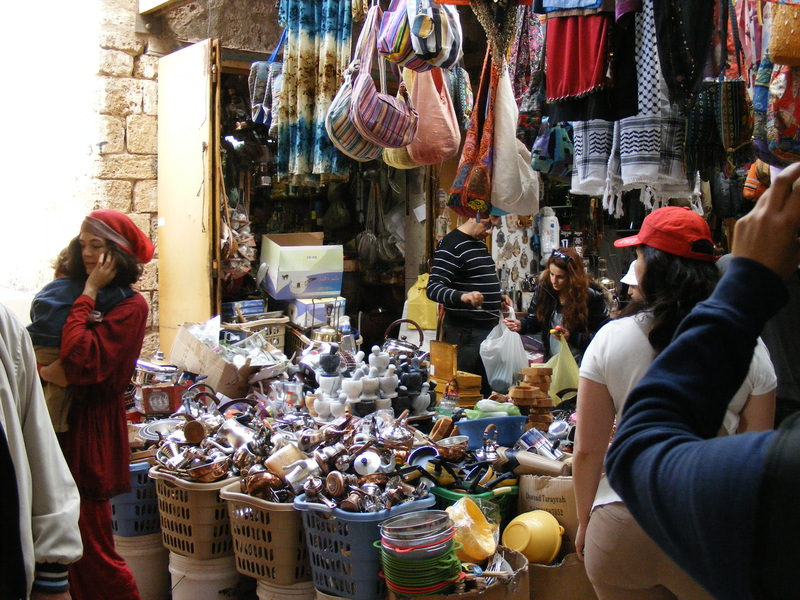 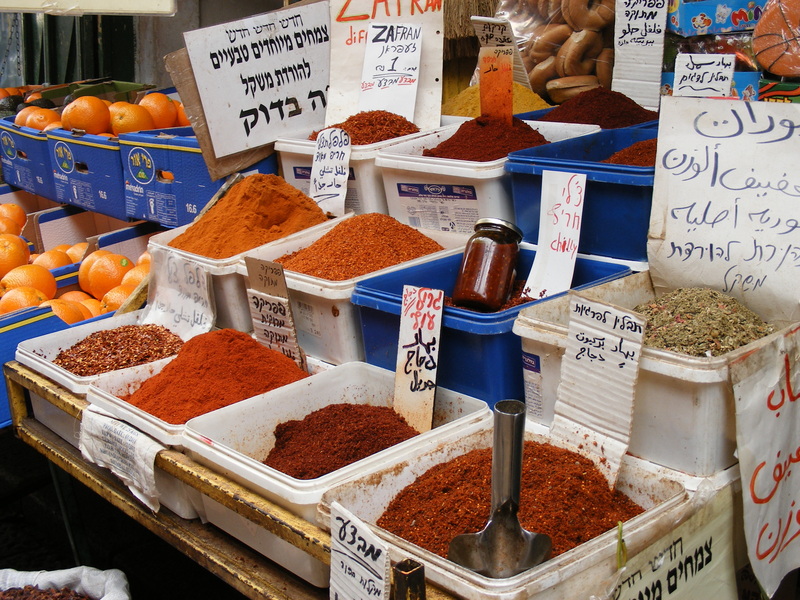 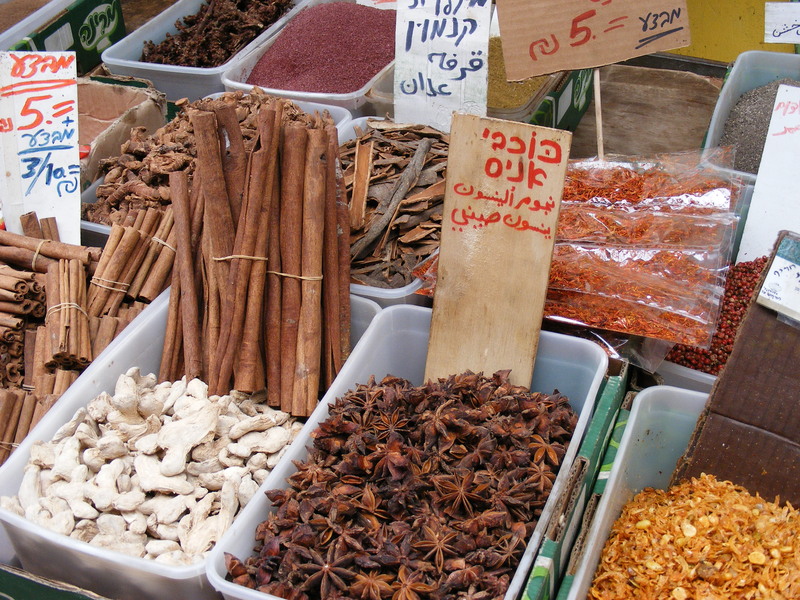 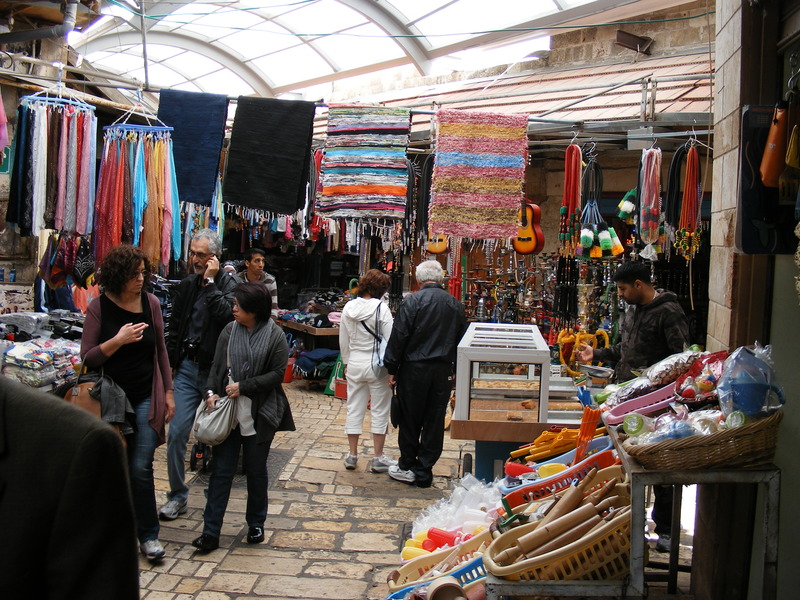 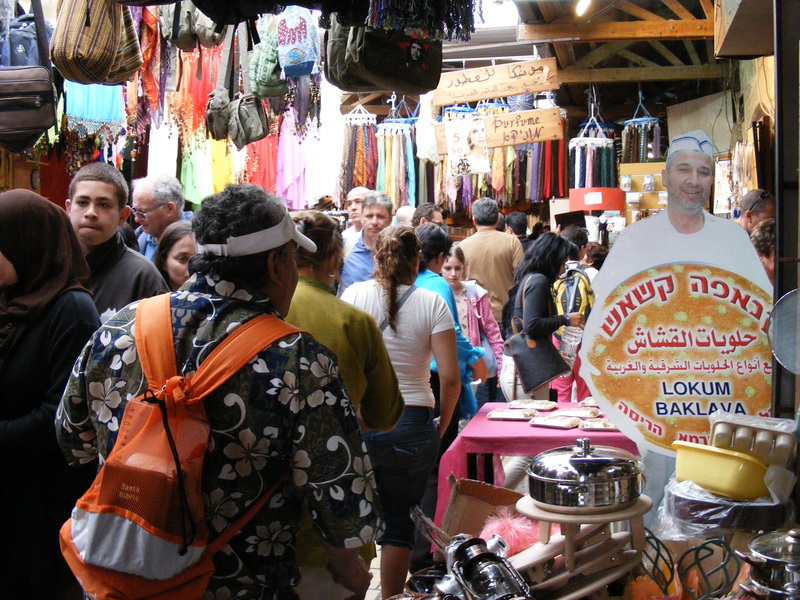 Tomorrow’s blog will be of my walk through the suq (shuk) or markets. 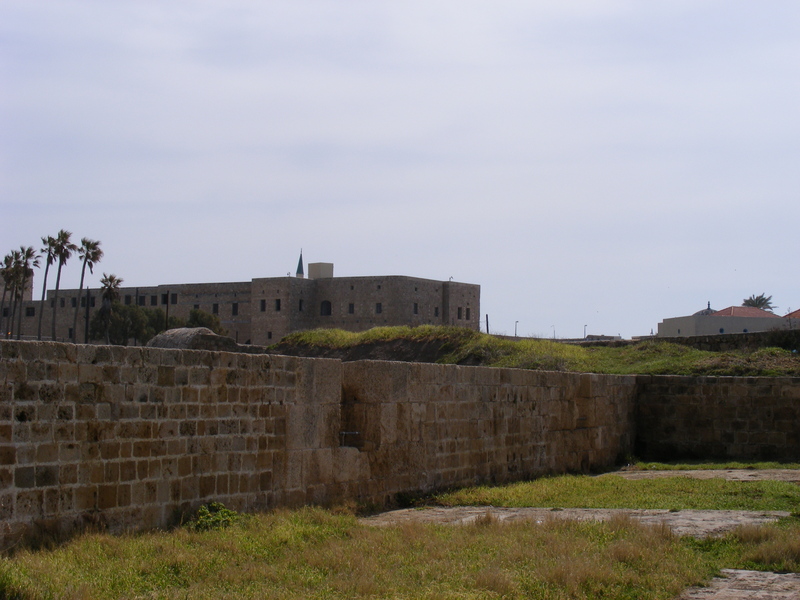 The Citadel or Prison of ‘Akká as seen from the top of the British Fort. 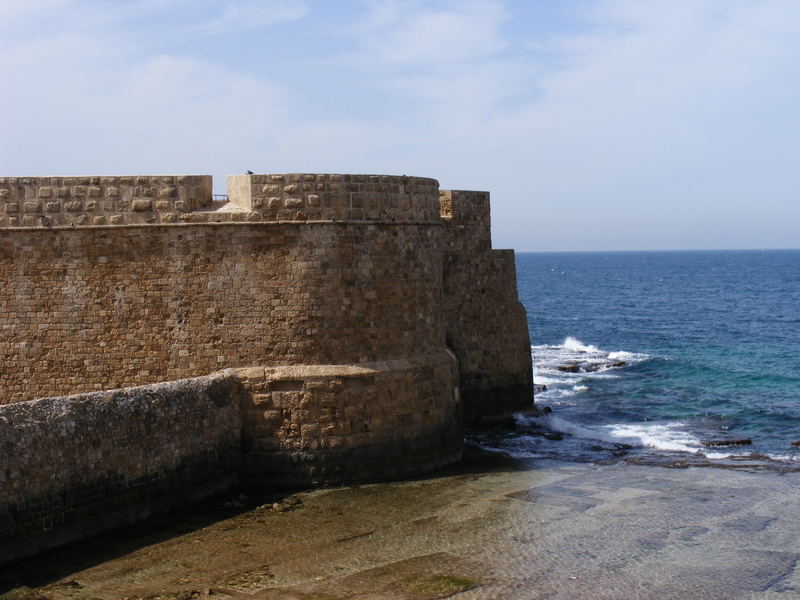 The British Fort at the north of the seawall of ‘Akká.